Here you can see what items recently have been added to the collection. A parcel arrived from Steve Green. 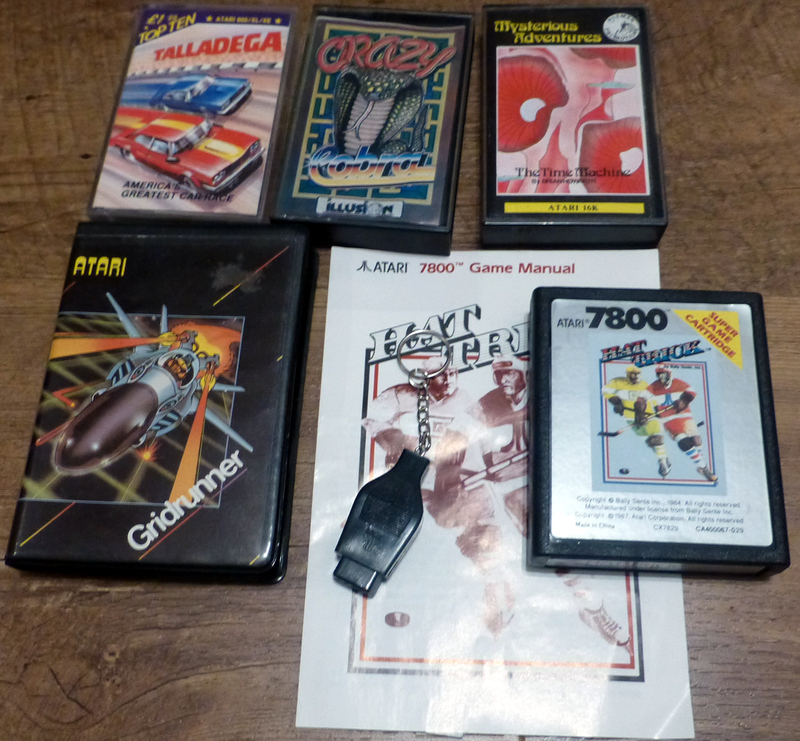 He got me Talladega by Top Ten Hits, Gridrunner 1983 release by Llamasoft, The Time Machine by Paxman Promotions, Crazy Cobra by Illusion Software, Hat Trick for the 7800 (PAL) and a very nice Atari keychain. Thanks Steve! 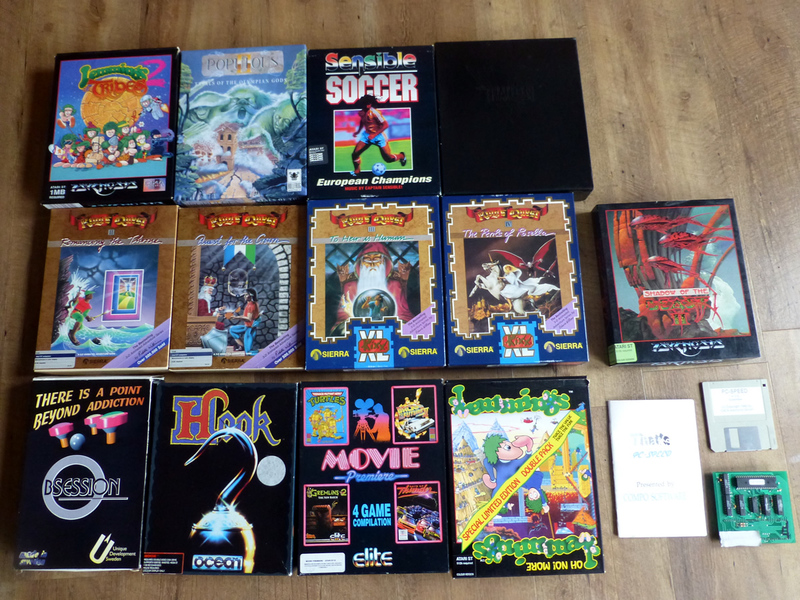 I was able to buy a large 8-bit lot from Nick Ouwendijk. Thank you Nick! 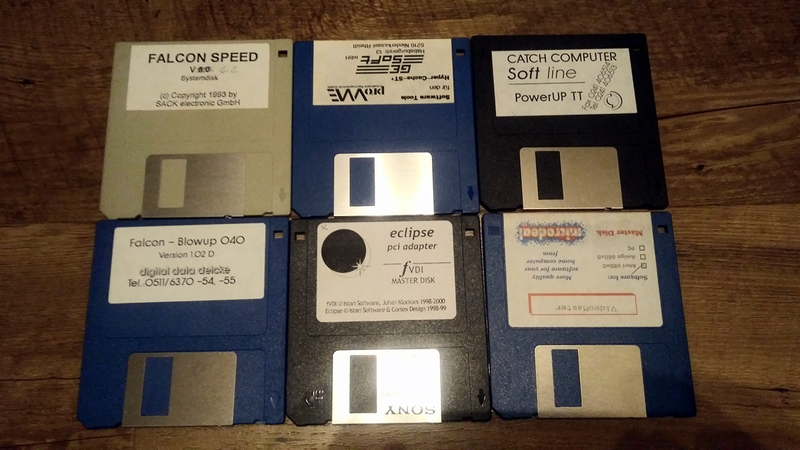 The hardware still needs to be tested, but these items are added to the collection: Fred (ANG Software disk), Tobot/Bros, Arena 3000, Four great games 3, Ski-Weltcup, Nato Commander, Four Star Compilation 2, Players Zap Pack 1, Pokey-Abbuc Treffen, Atari Benelux Demo disk, Dutch manual for the happy and the book: “Things you can do with your Atari Computer”. New additions to the collection. Picture 1: A big thank you to Freddy Offenga. We did a nice trade. 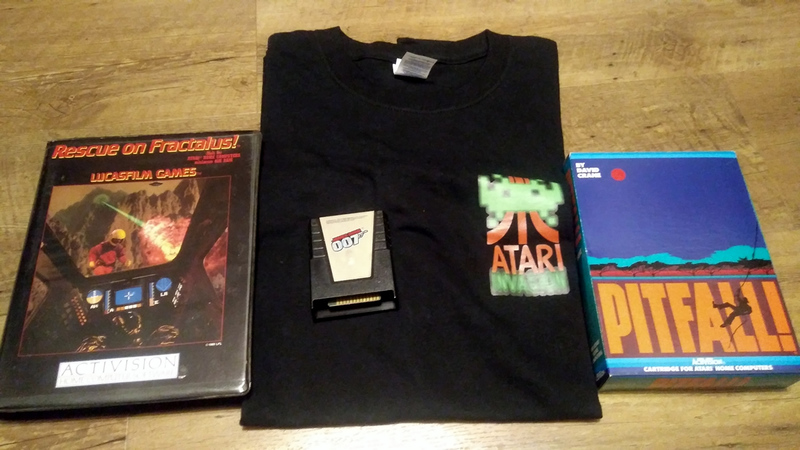 I received Rescue on Fractalus (disk), Pitfall (cart), James Bond 007 (cart) and an Atari Invasion t-shirt. 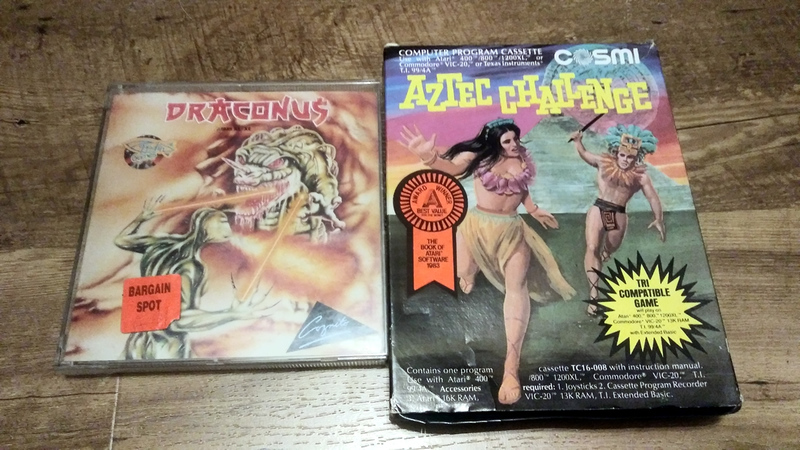 Picture 2: Another nice trade with Steve Green, thanks Steve for Draconus (disk) and Aztec Challenge (tape). Picture 3: Another nice trade with Nir Dary. 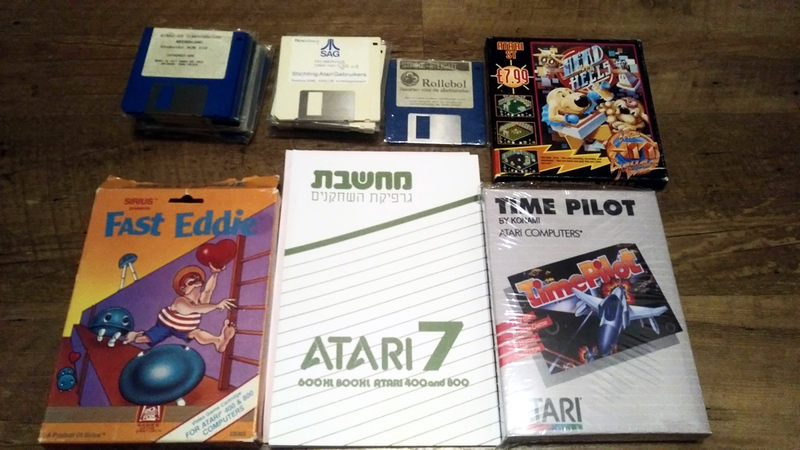 I received: Time Pilot (cart), Fast Eddie (cart), Head over Heals (ST disk), a stack of Dutch ST PD disks and the first Hebrew book in the collection! Thanks Nir! 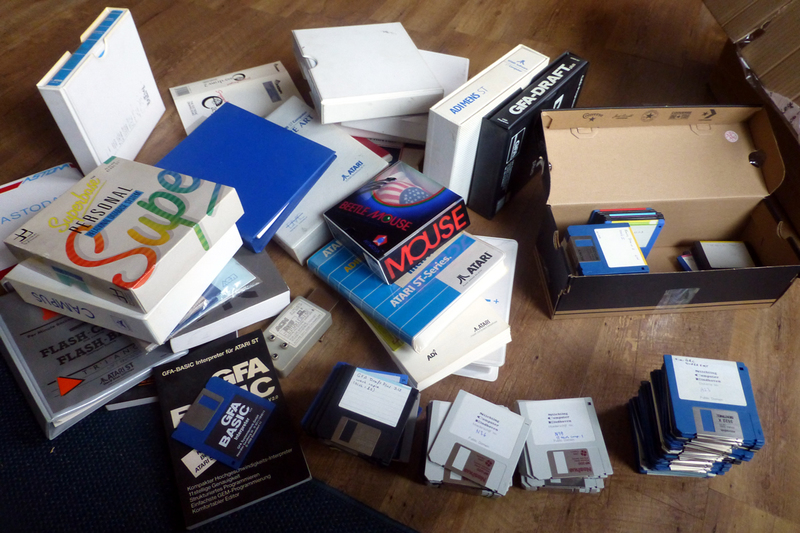 Picture 4: Rene de Bie donated these disks including specific Falcon software. Thank you very much Rene! Another parcel arrived from Andreas. 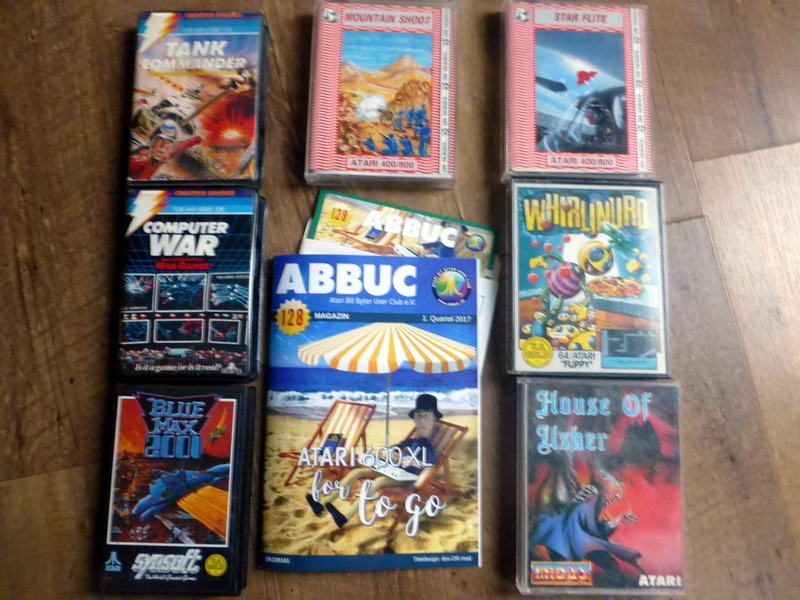 Thanks to him these releases can be added to the collection: Bounty Bob Strikes Back by US Gold (tape), Midway Campaign by Avalon Hill (tape), Plastron by Harlequin (tape), Smash Hits 1 and 2 by English Software (tapes), Starblade by Electric Dreams (tape) and Winter Olympiad ’88 by Tynesoft (disk). Also a big thank you for the manuals and stickers. A very big thank you to Wim Brouwer. 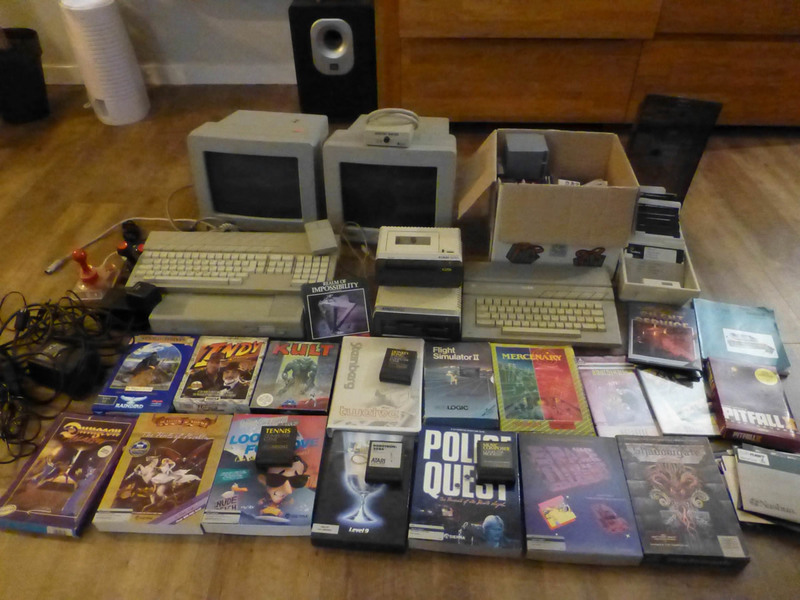 He donated this huge lot of ST hardware and software. 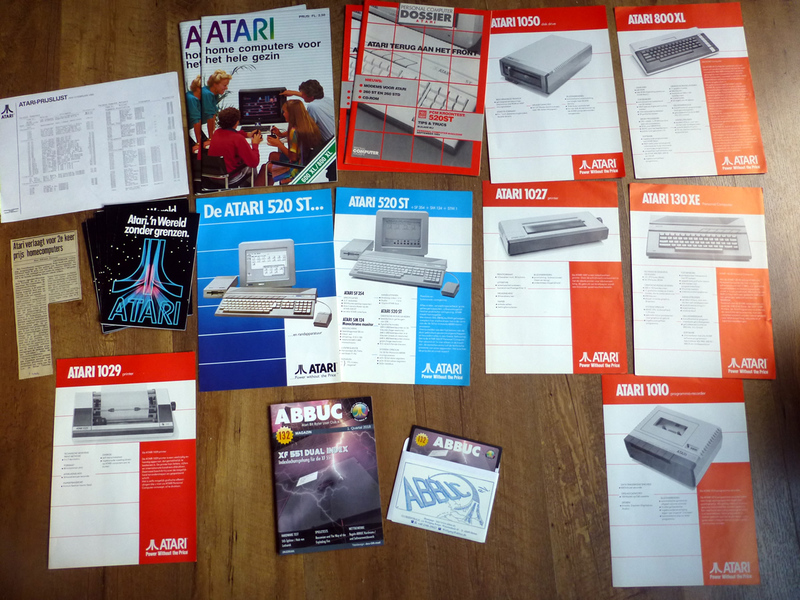 The lot includes many Dutch Atari Benelux documents which will be uploaded to the Atari Benelux online archive soon! A big thank you again to Andreas Koch! 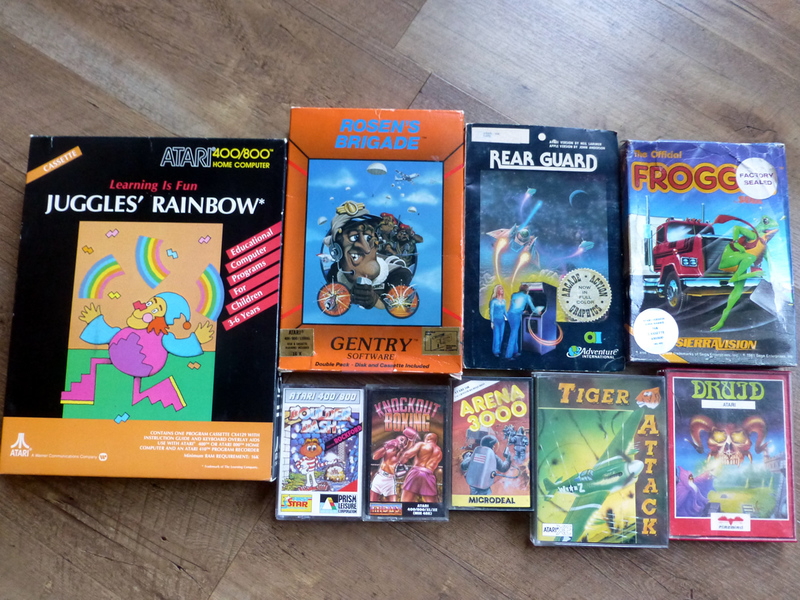 Thanks to him I can add the folowing Atari 8-bit cassette tapes to the collection: Arena 3000, Boulderdash (Prism release), Tiger Attack, Juggles Rainbow, Rear Guard, Frogger (Sierravision release), Rosen’s Brigade, Knock Out Boxing (small cassette Midas release) and finally Druid! I was looking for that one for many years! Another parcel from Steve arrived! 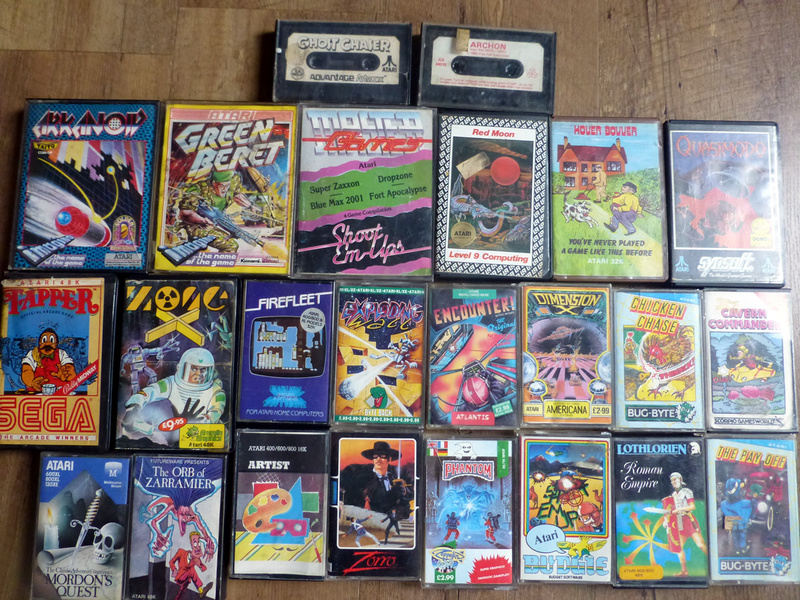 This time with some very special Atari 8-bit tapes. 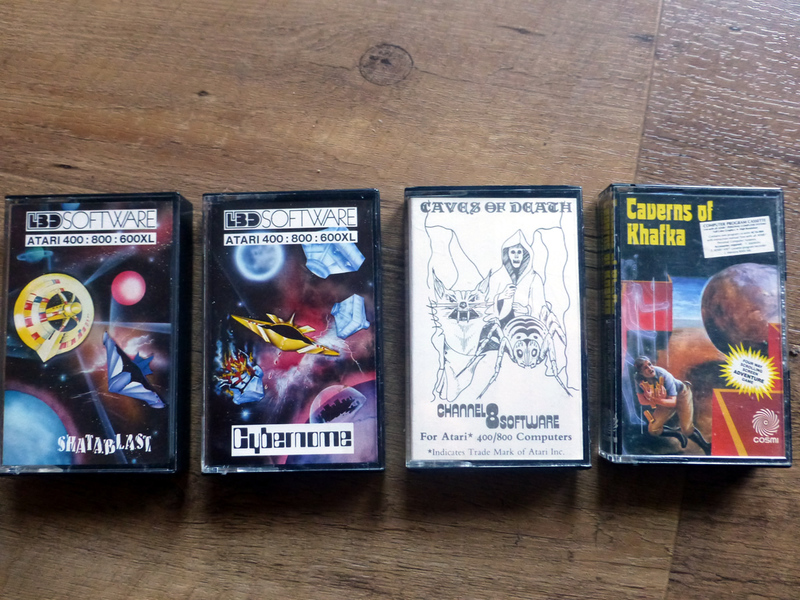 Besides the Cosmi release of Caverns of Khafka the parcel contained the 2 releases of UK Company LBD Software. I found some dumps of them on the internet but no artwork! But Caves of Death is even more rare. I found absolutely no dump or any picture on the internet. I will start dumping these tapes soon to release them to the public. Many thanks to my buddy Steve Green. We did a nice trade. He got me Spot the Ball, Picnic Paranoia, Space Invaders (1980 cassette tape release! 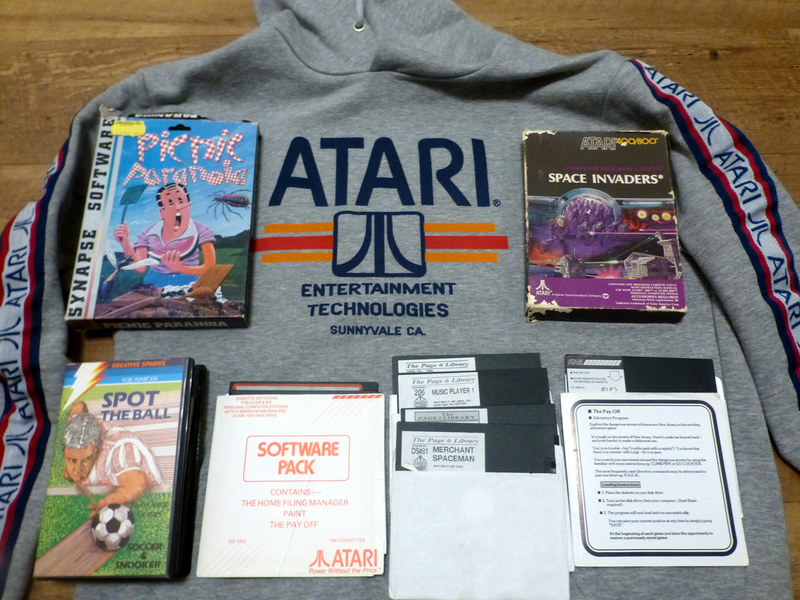 ), The Pay Off, Software pack, 4 Page 6 PD disks and a very nice Primark Atari hoodie which was not available in The Netherlands. A big thank you again to Andreas! 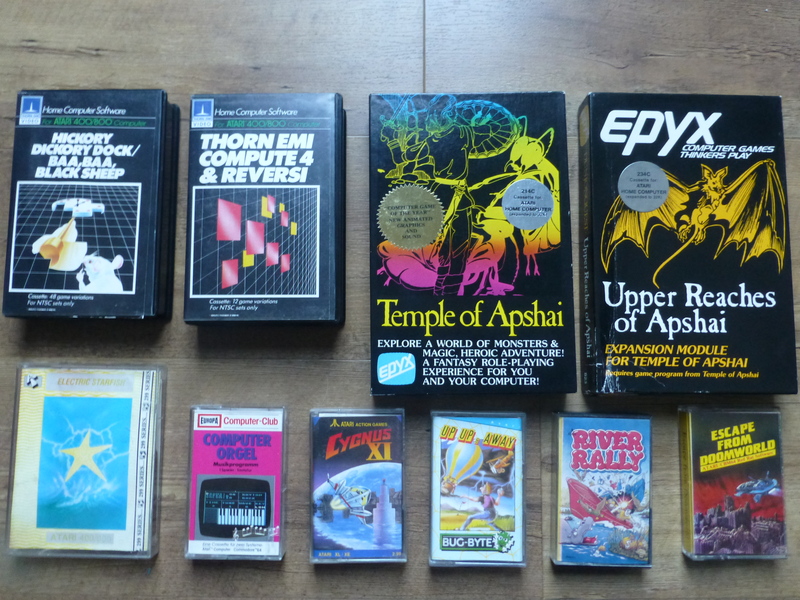 He sent me these great Atari 8-bit cassette tapes: Computer Orgel, Cygnus XI, Dunjonquest Temple of Apshai (1981 release), Dunjonquest Upper reaches of Apshai, Electric Starfish (Prism release), Escape from Doomworld (Red Rat release), Hickory Dickory (Thorn EMI ntsc version), River Rally (Red Rat release), Thorm EMI Compute 4 (ntsc version) and Up up and away (Bug Byte). 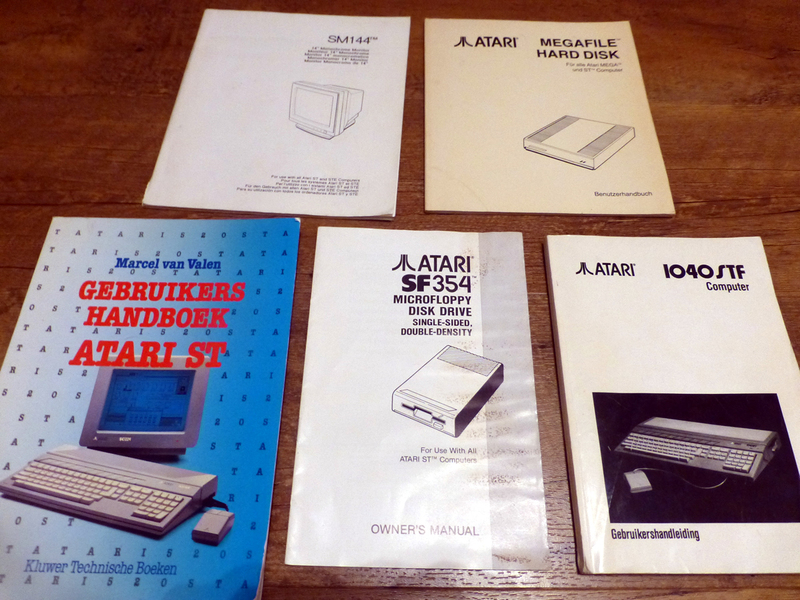 New additions to the collection: Atari SM144 manual (multi langual), Atari Megafile manual (German), Gebruikers handboek Atari ST (Dutch), Atari SF354 manual (English) and a different version of the Dutch manual for the Atari 1040STF. 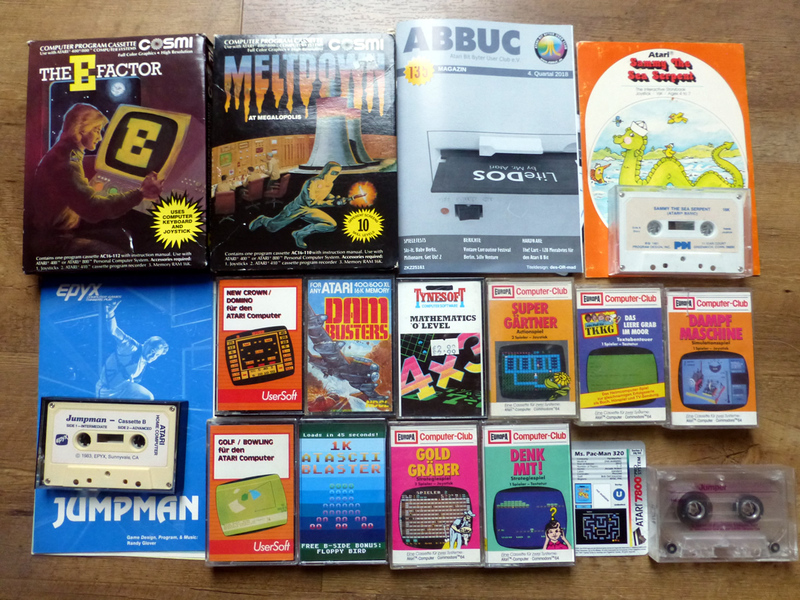 New additions to the collection: Dambusters, Dampfmaschine, Denk Mit!, Geld Gräber, Jumper, Jumpman, Golf/Bowling, Mathematics ‘o’ Level, Meltdown at Megalopolis, New Crown/Domino, Sammy the sea serpent, Super Gärtner, The E Factor and TKKG (thank you Andreas! ), 1k Atascii Blaster (thank you Frederik Holst!) and Abbuc Magazin 135. New additions to the collection: Happy Music manual (thanks Freddy! 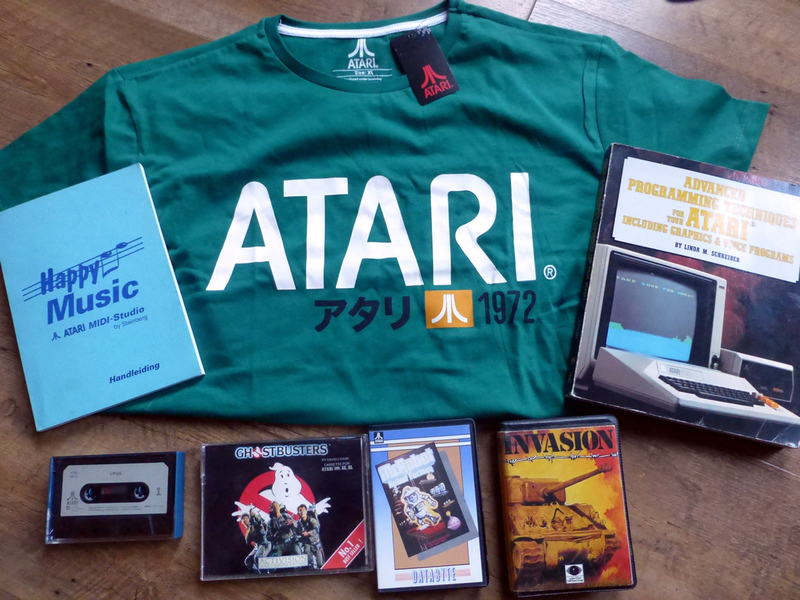 ), Atari t-shirt (€ 7 at Primark), Advanced Programming Techniques book and Ghostbusters tape, Ufos/Blitschnell tape, Mr. Robot tape and Invasion tape (thanks Andreas!). The Invasion tape by Argus Press is very rare. Almost no information can be found on the net. We will dump this tape for the a8preservation project. New additions to the collection: Many thanks to Freddy Offenga who payed a visit yesterday! 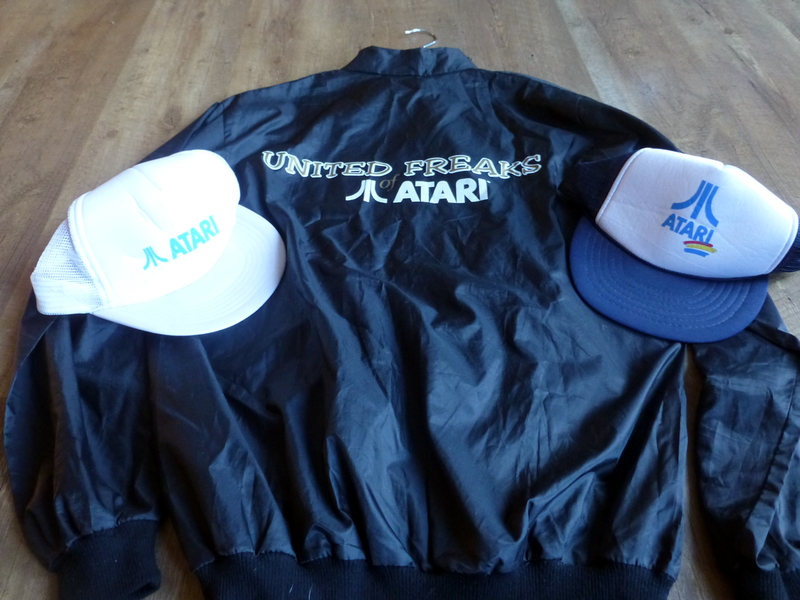 I received: 2 Atari caps and an Atari jacket. 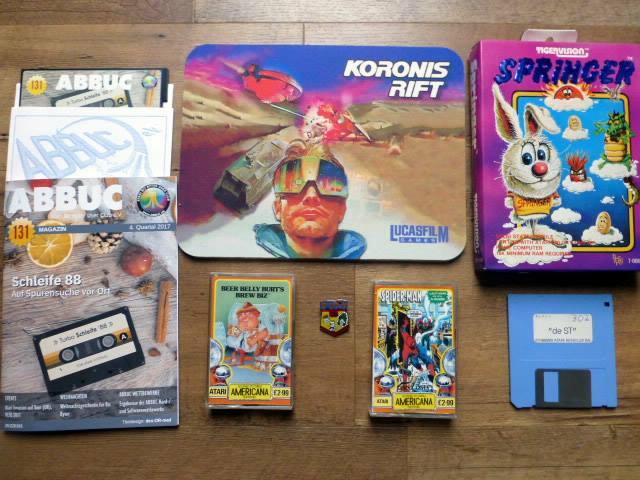 These items were bought by him at the Atari Messe in Germany in 1993. 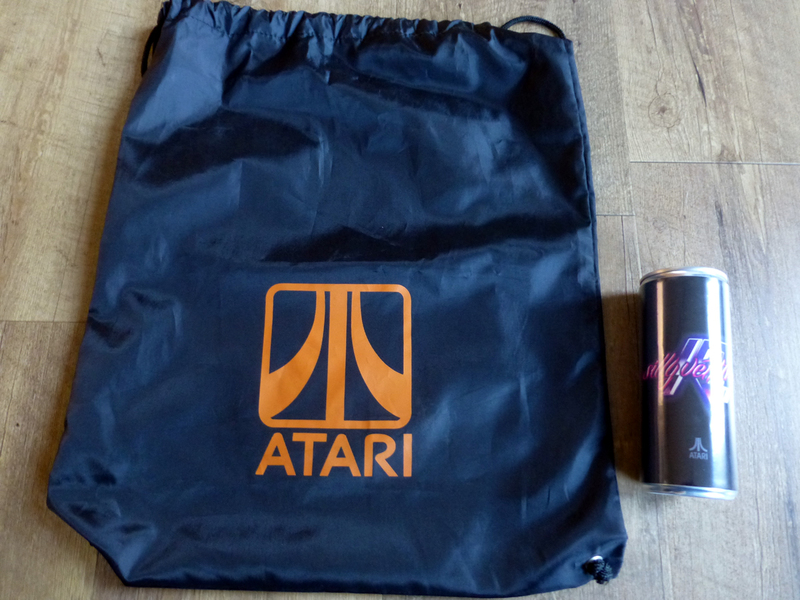 In the second picture: an aftermarket Atari bag and the Silly Venture energy drink 2018. 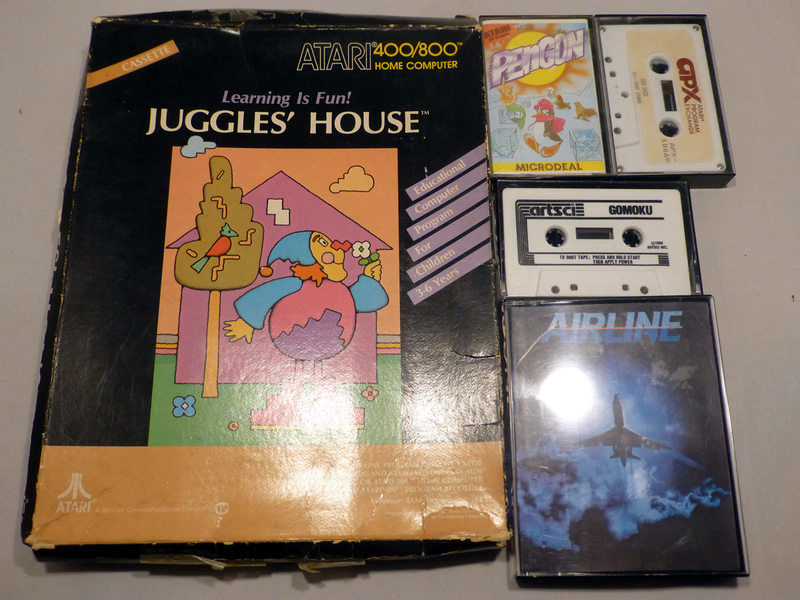 Airline (German Ariolasoft game), Juggles House, Pengon (original Microdeal tape, not the Dixons release), Dog Daze and Gomoku. Thanks Andreas Koch! I did a very nice swap with Freddy Offenga 🙂 Thank you very much Freddy! 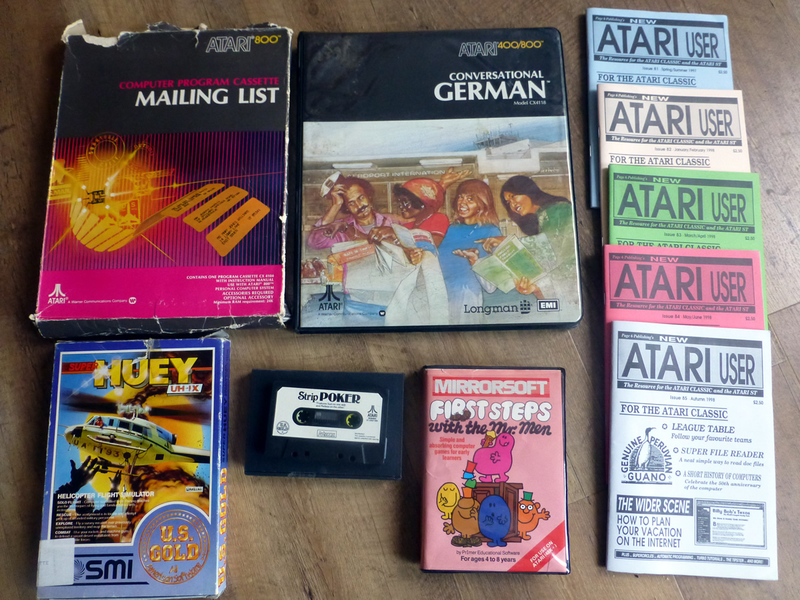 For the Atari 8-bit: Pitstop (cart), Gateway to Apshai (cart), Peanut Butter Panic (cart), Jumpman Junior (cart), Alpha Shield (cart), Pacific Coast Highway (tape), Smash Hits 6 (tape), Monster Smash (tape), Ghostchaser (tape), For Apocalypse (tape), Montezuma’s Revenge (tape), Polar Pierre (tape), Caverns of Khafka (tape)and the Worm in Paradise (tape). 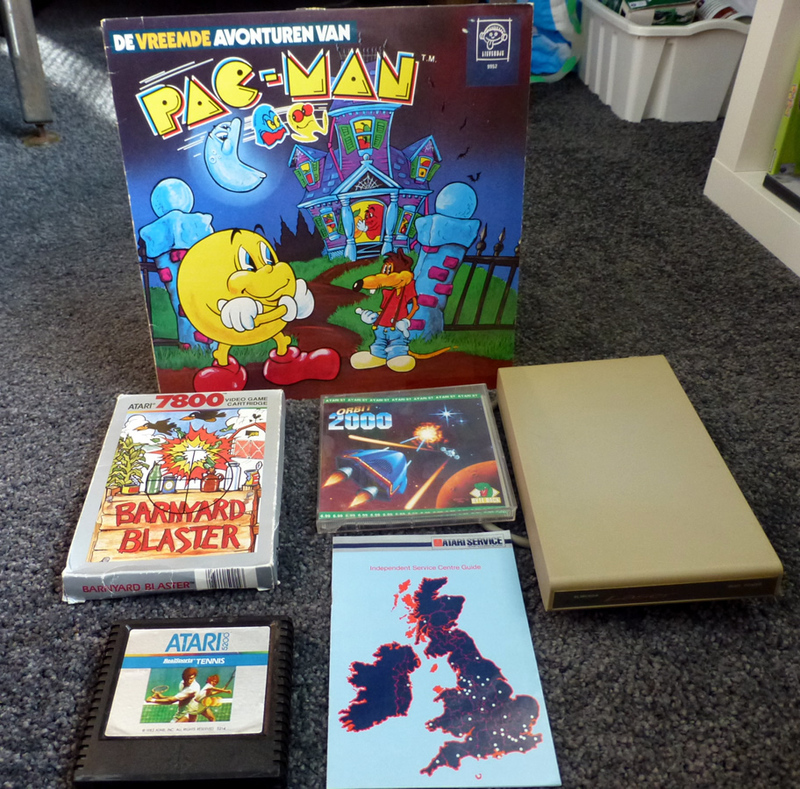 Plus a Dutch Club catalogue and the Dutch manual of the home computer version of Ms. Pac Man. Another big thank you to Andreas Koch! 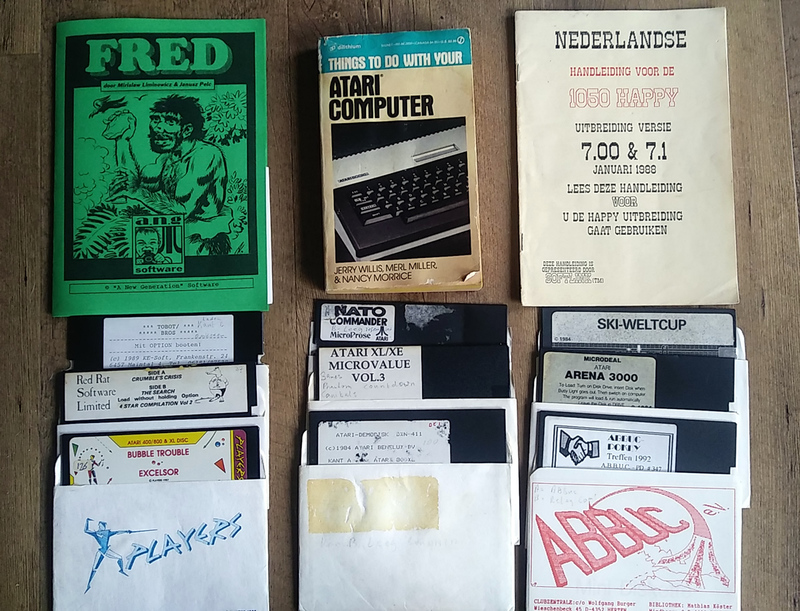 He has donated for the Atari 8-bit: Adventure Creator (cart), Diamonds, Krazy Kopter, Super Zaxxon, laura, Submarine Commander, Spy Hunter, Seeschlacht and Strippoker (cassette tapes). 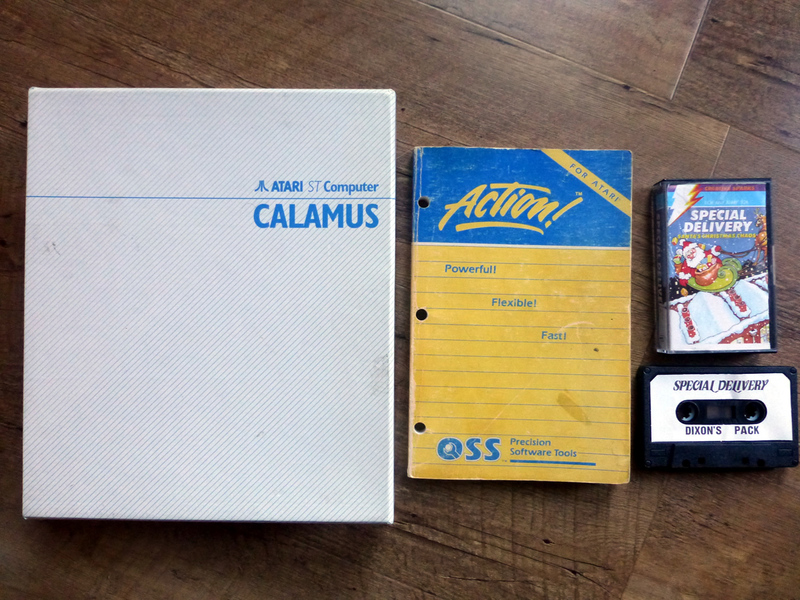 A big thank you to Nir Dary for donating the Dutch software package of Calamus (Atari ST), a big thank you to Adam Russel for sending me the Dixons pack version of Special Delivery (Atari 8-bit) and a big thank you to Andre Huijts for getting me the Action! 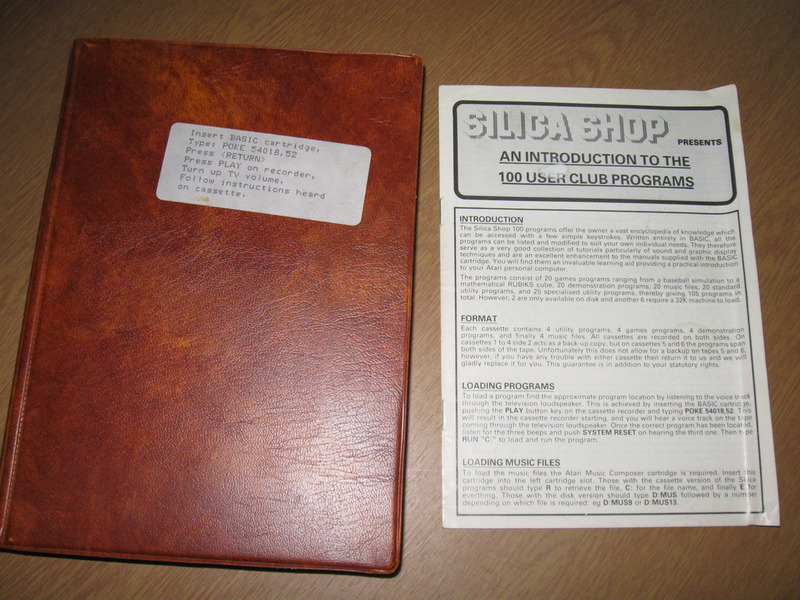 Reference Manual (Atari 8-bit). A very big thank you (again!) to Andreas Koch. 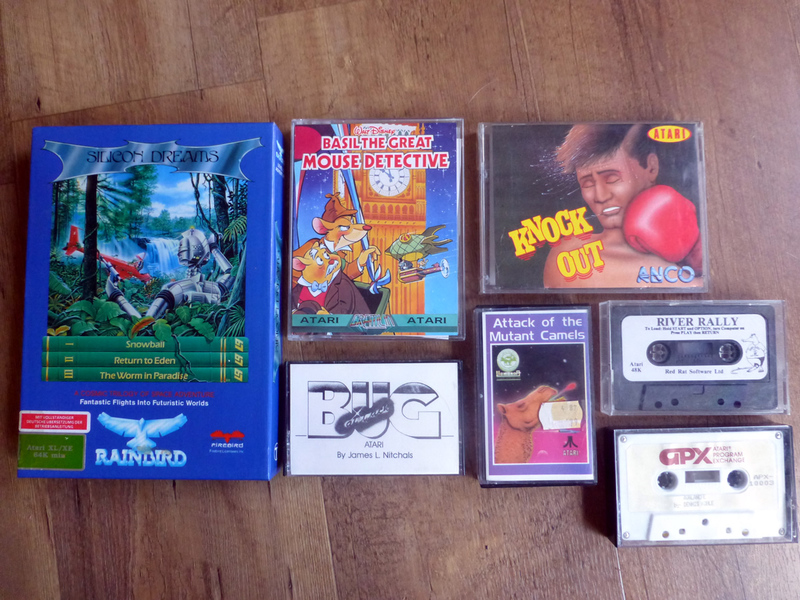 Thanks to him, I can add these titles to the collection: Avalanche (APX), Attack of the Mutant Camels (Llamasoft budget release), Basil the great mouse detective (tape), Bug Attack (tape), Knock Out (Anco release), River Rally (Red rat tape) and the cassette tape version of Silicon Dreams. New additions to the collection (Thanks Vidar! ): Conversational German (now the set of all conversational packages is complete! 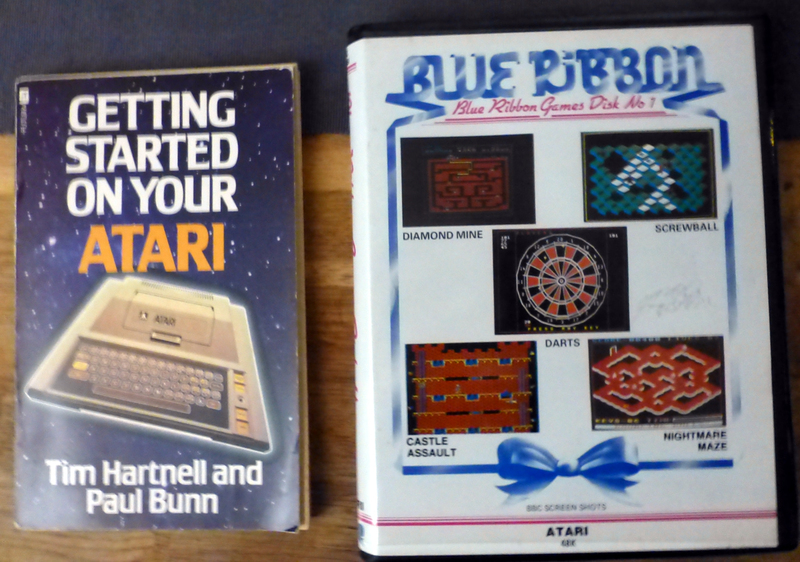 ), Strippoker, Mailing list, First steps and Super Huey for the Atari 8-bit. Plus the last 5 issues published by Page 6 (now I only need nrs. 1,2,3,4 and 6). Another great parcel from Steve Green arrived today! 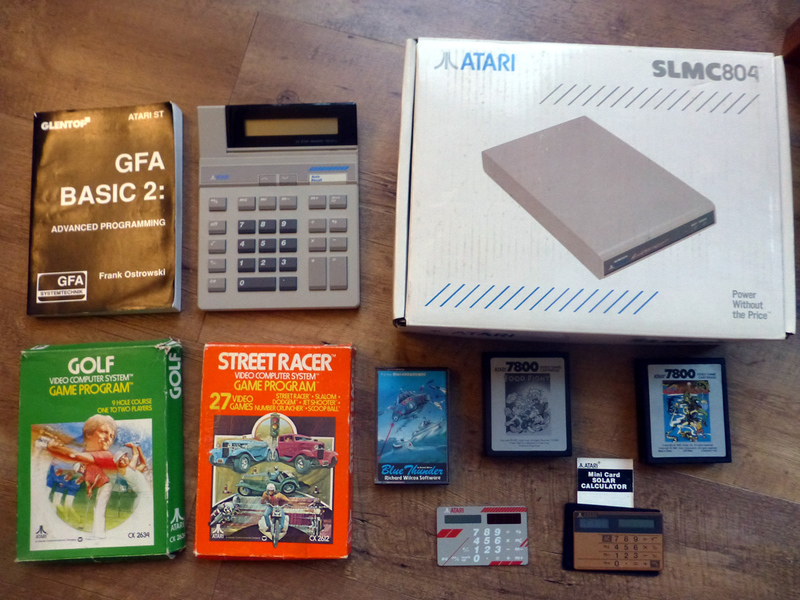 The two 7800 cartridges in the picture I bought myself, but look what Steve sent me: 3 Atari calculators, the SLMC804 interface brand new in box (i had a loose one), a GFA basic book, two great boxed 2600 games and last, but not least, Blue Thunder on cassette tape!!! I was looking for that one for ages! Thank you Steve! Many thanks to Andreas Koch (again!). What is (o.a.) 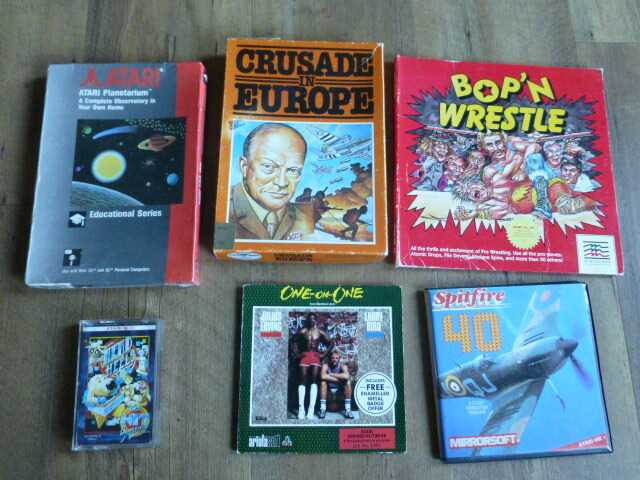 in this picture: Sun Star German release by Ariolasoft, Mr Dig with the original tape (NOT the Dixons rerelease), Computer Kran a German tape release and Künstler which is the German release of Artist. A very big thank you to my buddy Steve Green for sending me all this stuff! 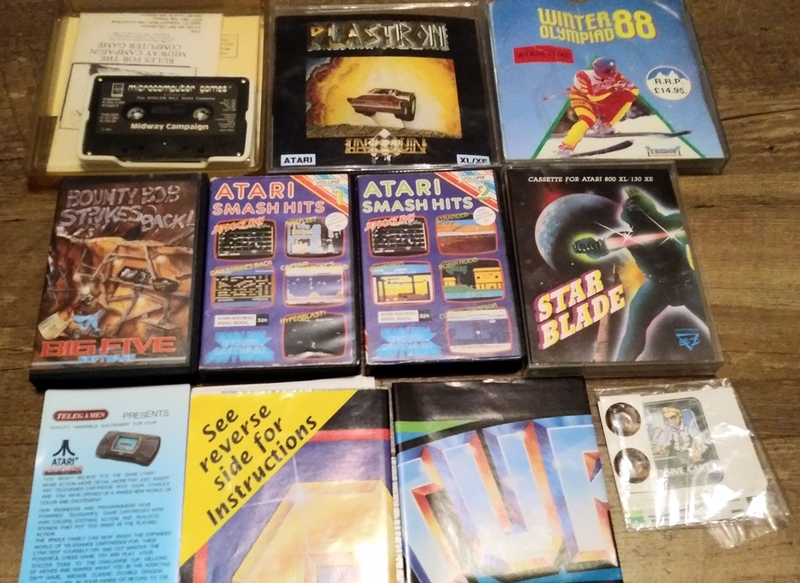 Yars Revenge, Outlaw, Casino and Flag Capture for the 2600, a boxed CX40 joystick, 4 IO Magazines, a Steve Green original joystick clock, Smash Hits 2, Nursery Rhymes and Football Manager on tape for Atari 8-bit. 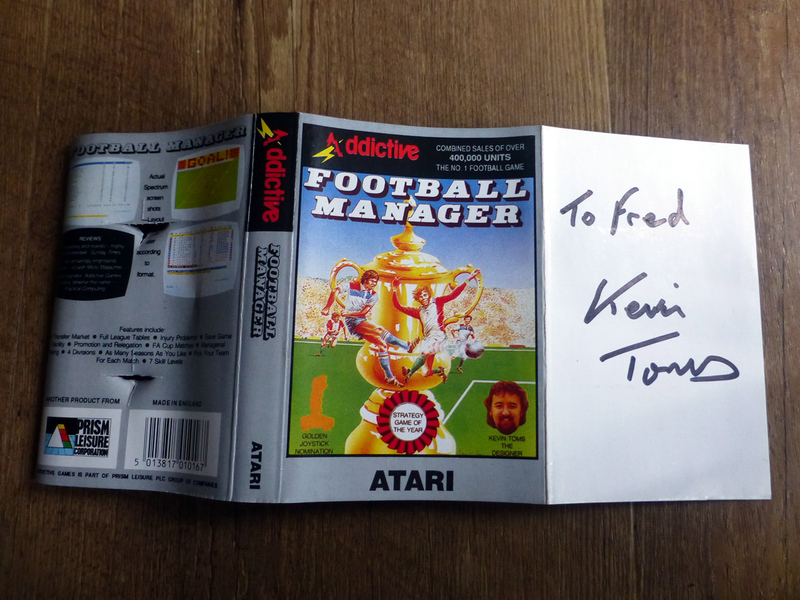 And take a look at the second picture, Steve managed to get the author of Football Manager to sign the tape for me!!! 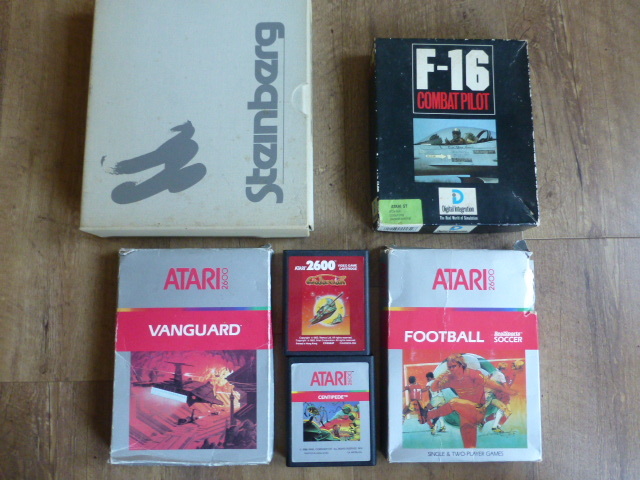 A very big thank you to Ayo Jagt for donating Synthworks anf F16 Combat Pilot for the Atari ST. Also added to the collection: Centipede PAL ’88, Galaxian red label, Realsports Soccer and Vanguard for the Atari 2600. Pogotron on cassette tape for the Atari 8-bit. 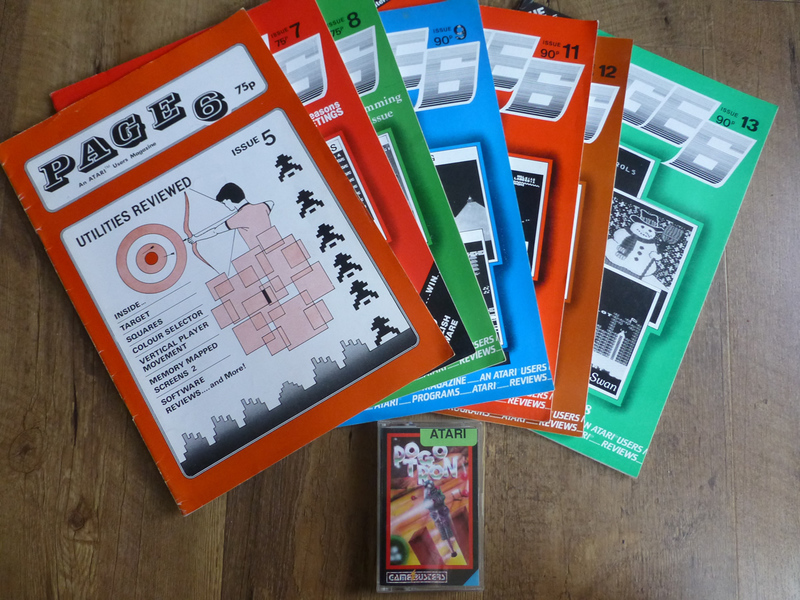 And 7 early issues of Page 6 Magazine. A very big thank you to Aat Dijk! 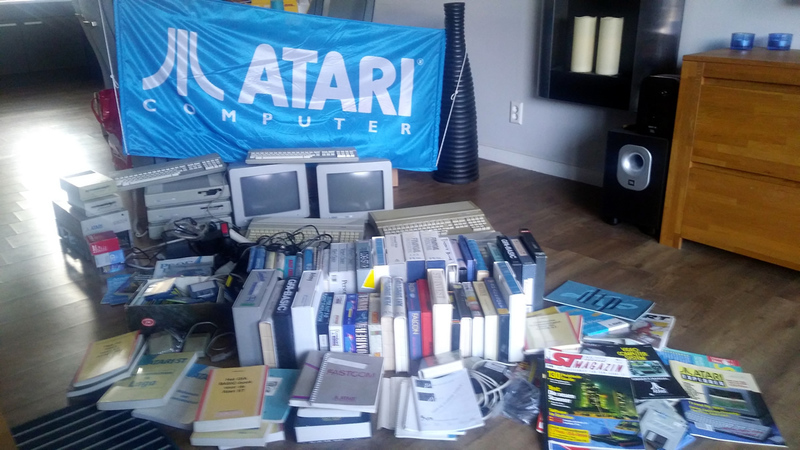 He donated this huge lot of Atari ST games and the PC Speed board and software. Thanks again Aat! 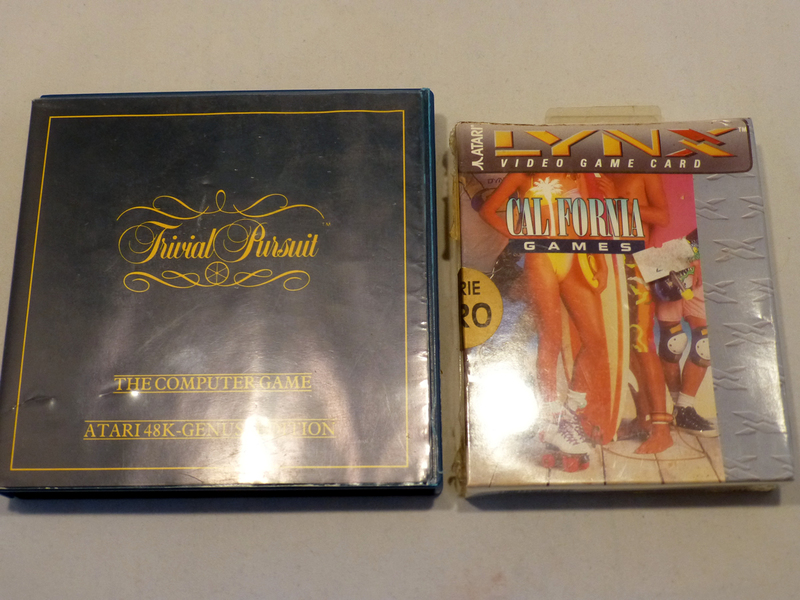 A big thank you to Martijn Caris for donating the packaged version of California Games for the Lynx. Trivial Pursuit for the Atari 8-bit on cassette is also new to the collection. 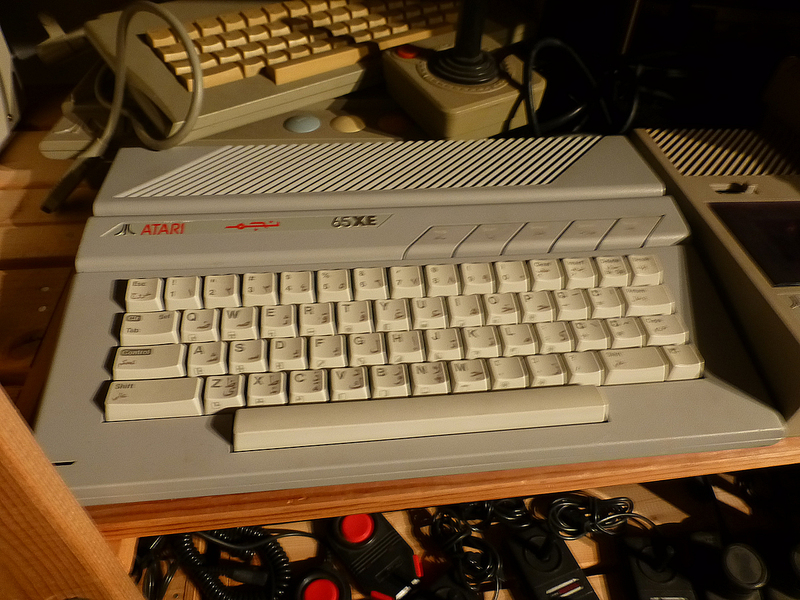 The Atari 65XEN Arabic. Thanks Martin! 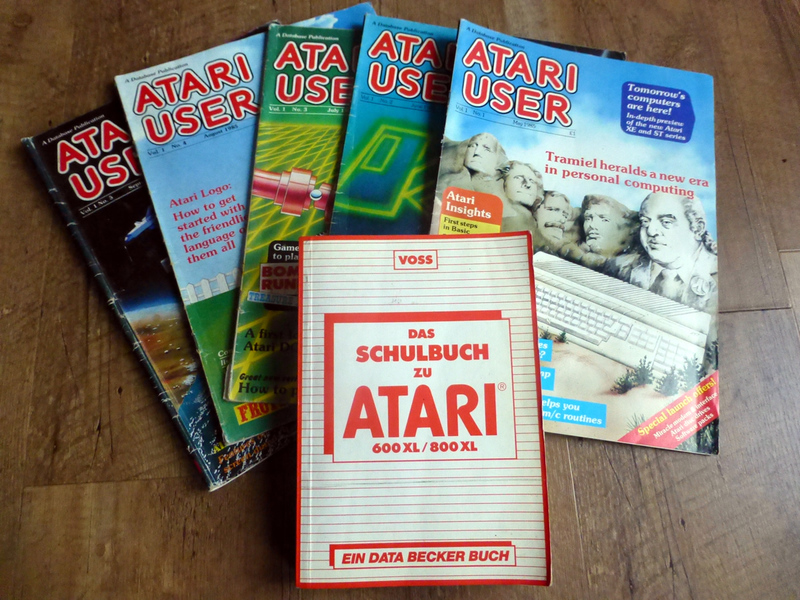 Das Atari ein mal eins book, Atari Star Wars arcade manual (Thanks Andre!) 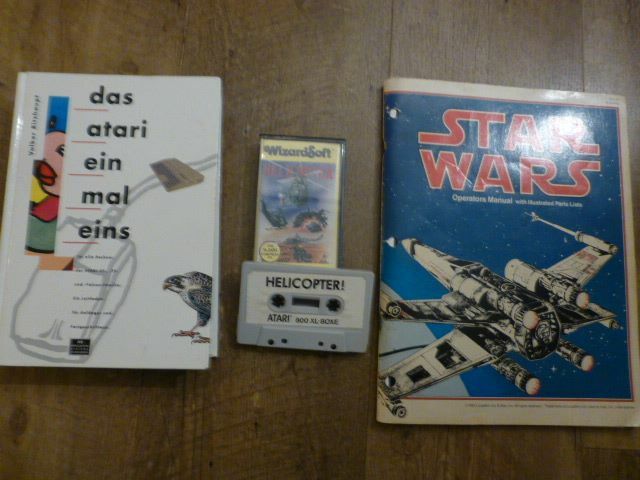 and Helicopter cassette for Atari 8-bit. 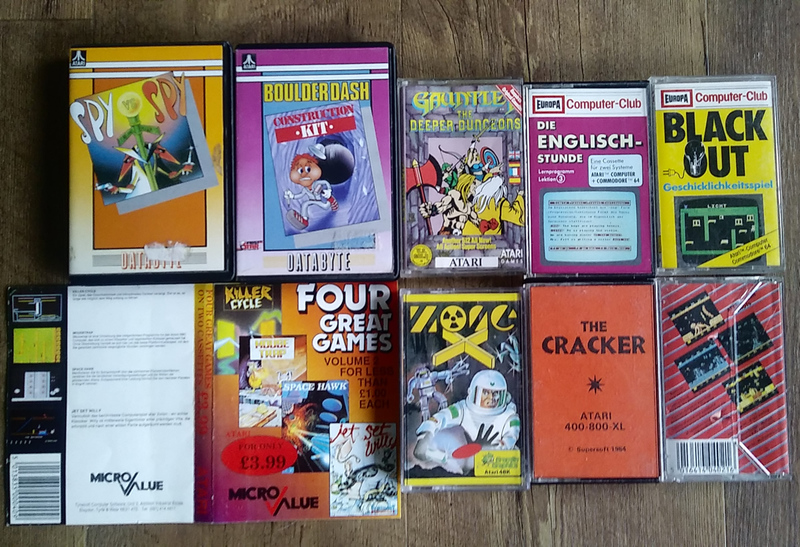 Head over heels cassette bought from Ebay and some very nice disk packages from Alex of the Retro for Sale Facebook group. We received a very big donation today from Wim Lokers. A fantastic addition to the collection! Thank you Wim!! 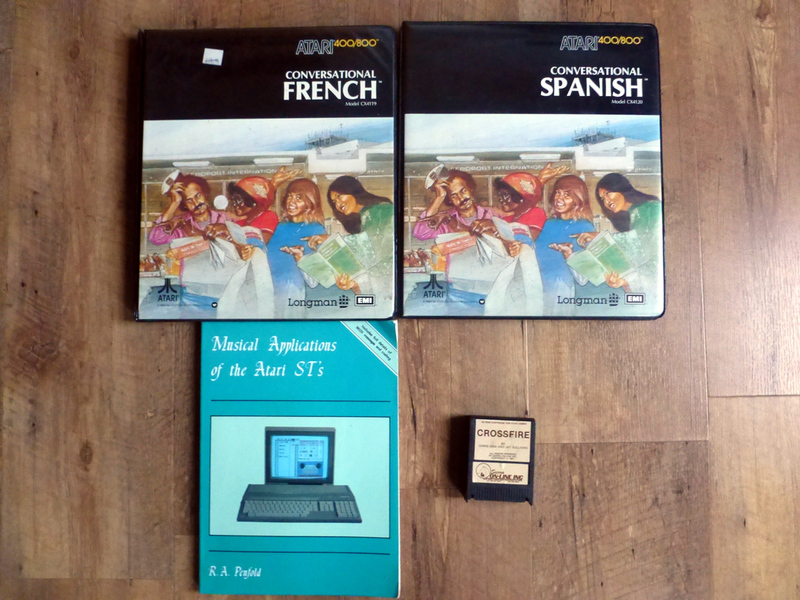 New additions: Conversational French and Spanish, Crossfire cartridge and Musical applications book. New additions to the collection: Spiderman and Beer Belly (thanks Fready! 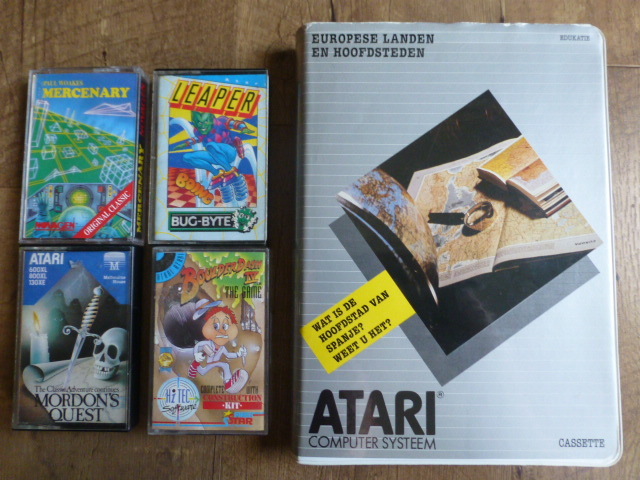 ), Atari Benelux ST demo disk (thanks Andre! ), Koronis Rift Mousemat (thanks Andy! ), Springer cartridge (thanks Nir! 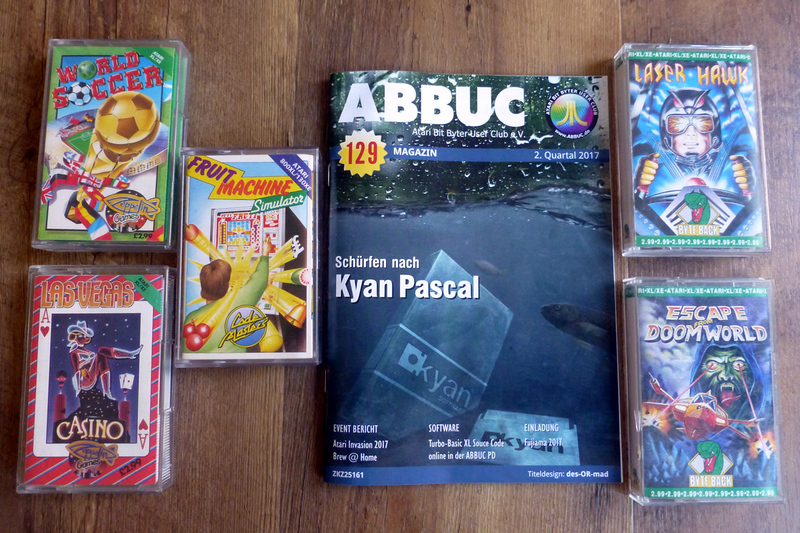 ), the latest Abbuc Magazine and a Dig Dug pin. Thanks to Steve Green I got some very nice items! 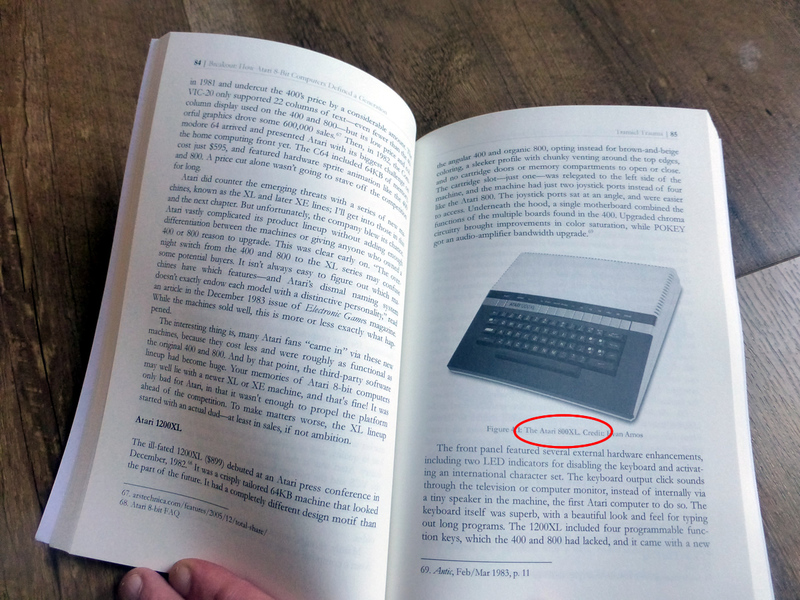 Thanks to André Huijts who found an interesting auction on the Dutch Gumtree (Marktplaats), thanks to Andy Barr for finding a nice Ebay auction and thanks to Barbara for sending me the book for free! 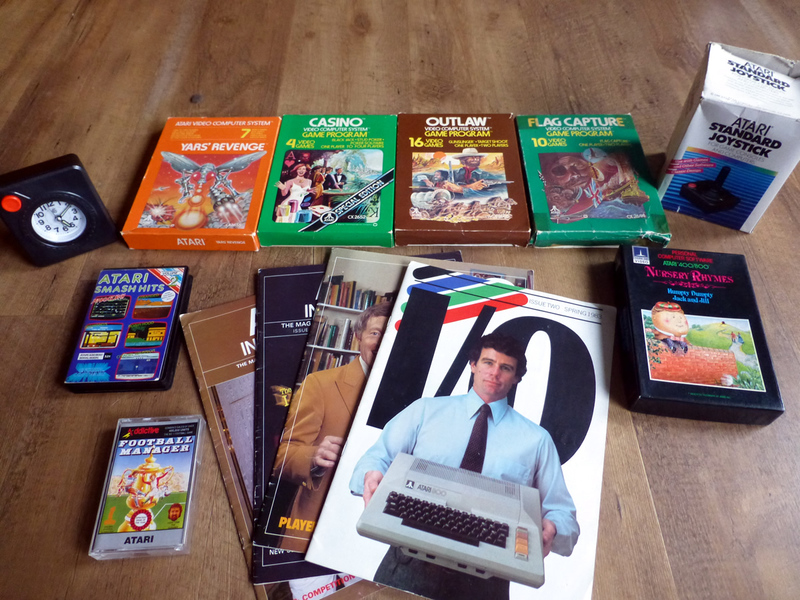 A nice box for my 1020 printer and 3 English books for the Atari 8-bit. Thanks to Wilfred K. (again!) 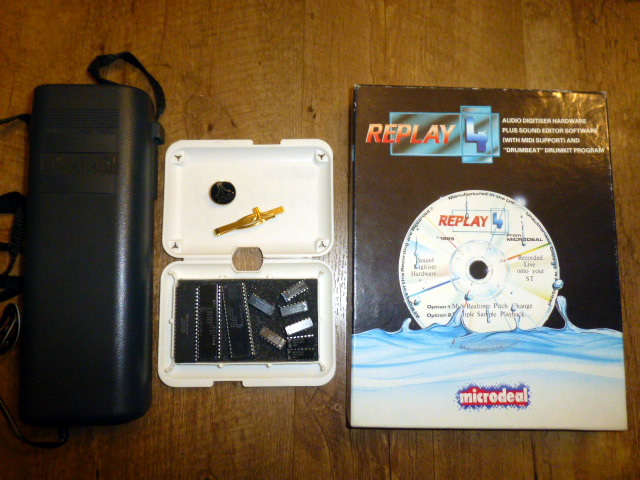 and Andre Huijts some nice additions to the collection: an Atari pin, a tie pin, some 8-bit parts, the lynx battery pack and the replay 4 cartridge for the Atari ST.
Only one addition to the collection this week. But it is a special one Thanks to my Swiss friend David for sending me this tape. In the eighties copyright was a mess in Italy. 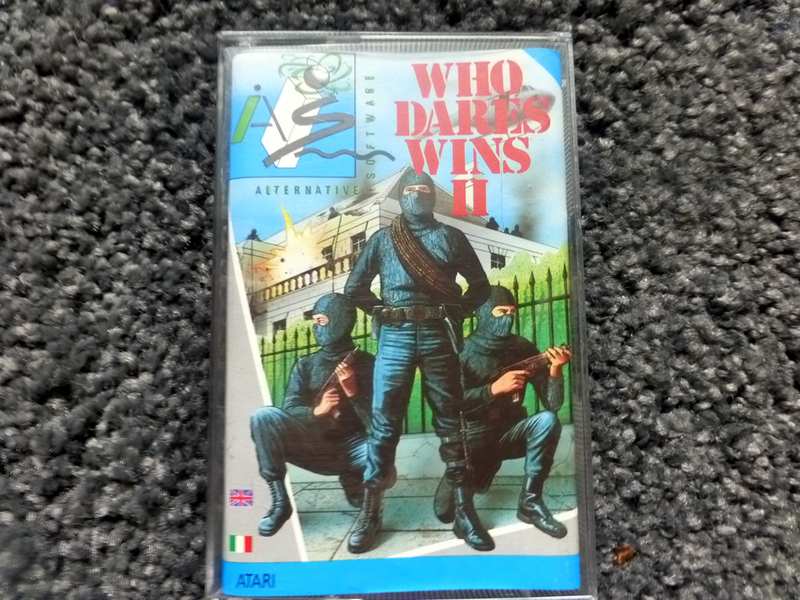 Many Italian companies published “illegal” copies of games. In this case this a copy of Montezuma’s Revenge published by Italian company Laser Load. The label has a stamp on it which translates to “copy give for free, sale prohibited”. Mega thanks to Freddy O. for buying me (most of) these tapes at the ABBUC Meeting 2017! 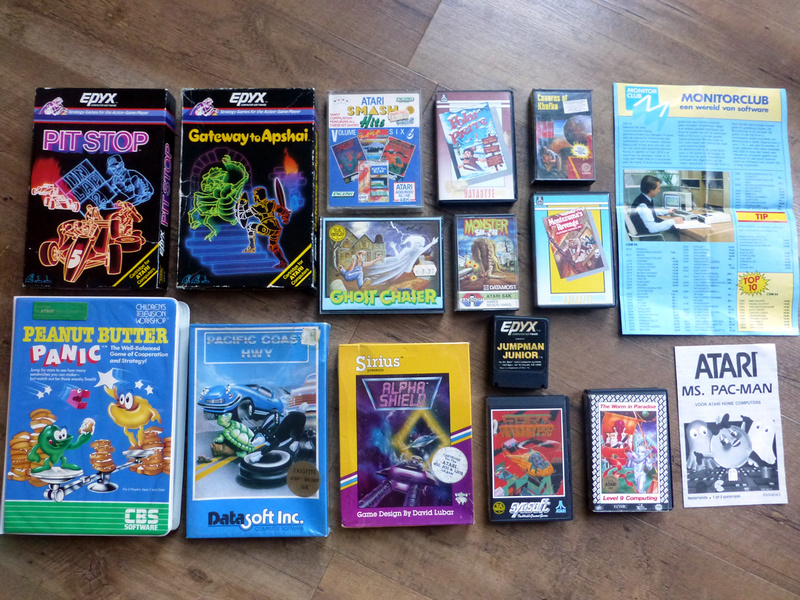 Thanks to Martin of the Atari Sector forum I was able to buy a very nice UK only lot with a.o. 24 tape additions to the collection. Thanks Martin! 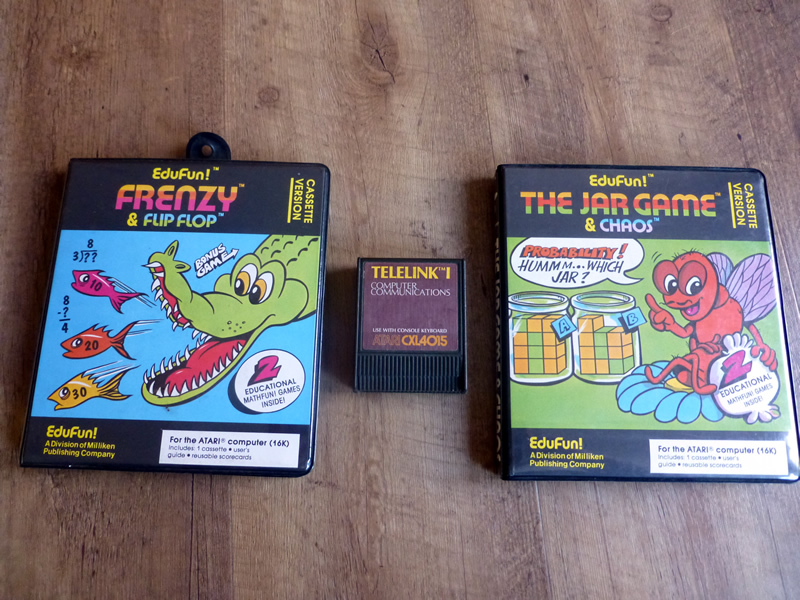 Thanks to former Atari employee Wilfred K. some very special additions to the collection! Many thanks Wilfred! And another nice swap with Steve! 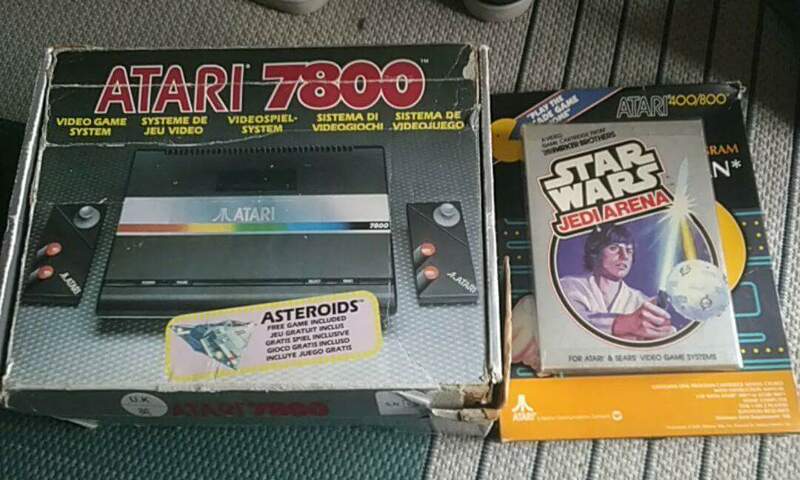 A nice 7800 box, Star Wars Jedi Arena and Pac Man in the 400/800 box! Another nice swap again! This time with Dom. 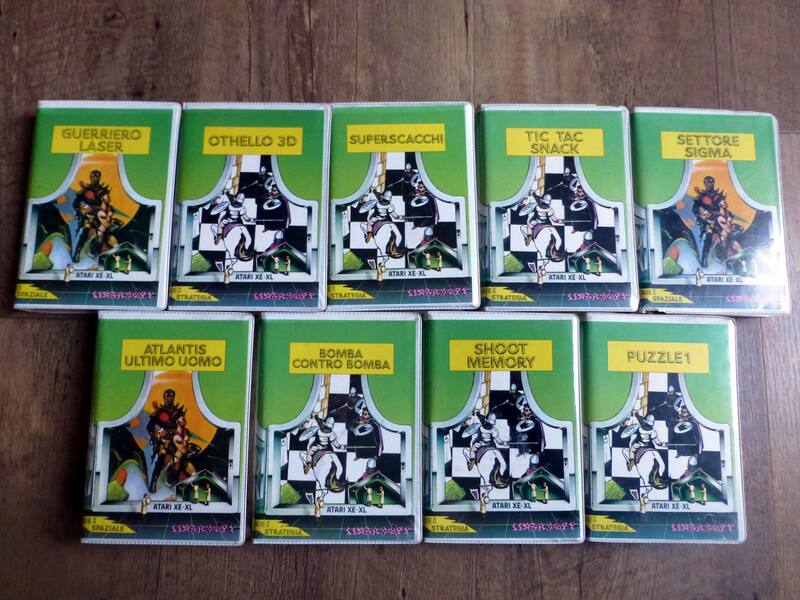 This is the 6 cassette tape collection of Silicia Shop UK. I did a really nice swap with F#ready. So I received some very nice additions to the collection. Thanks to Marceau Mallard of Atarinside! 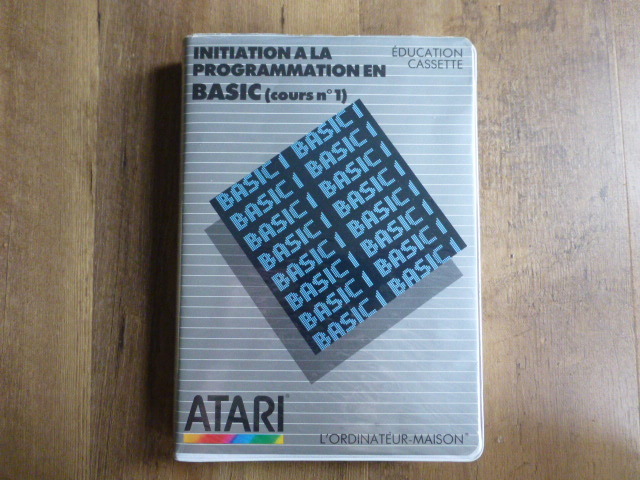 I received Initation a la programmation en basic no. 1 as a gift! Thanks to Thark from Atari Sector for Air Rescue by Atlantis. 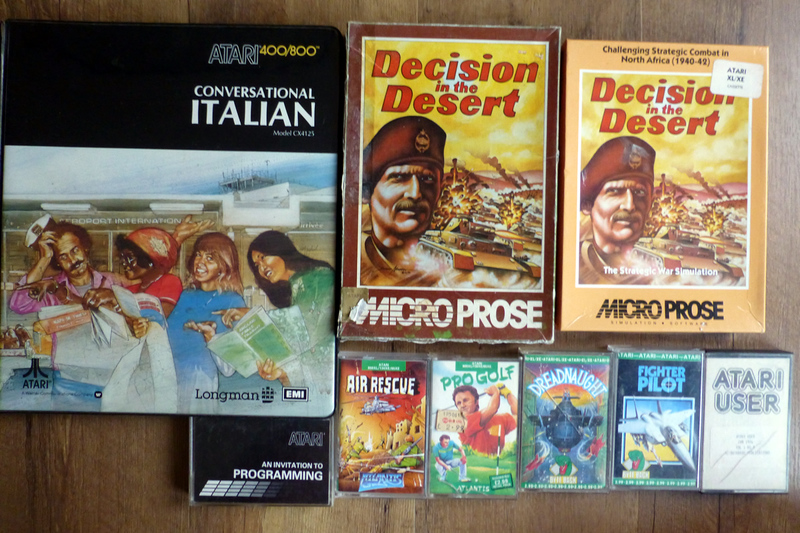 Also new to the Atari 8-bit collection: Pro Golf, Decision in the Desert (2 variations), Football Manager, Pro Golf, Atari User issuecassette vol.1 issue 9, Dreadnaught, Fighter Pilot, Conversational Italian and An Invitation To Programming (c)1987 by Atari UK. Many thanks to Gert! 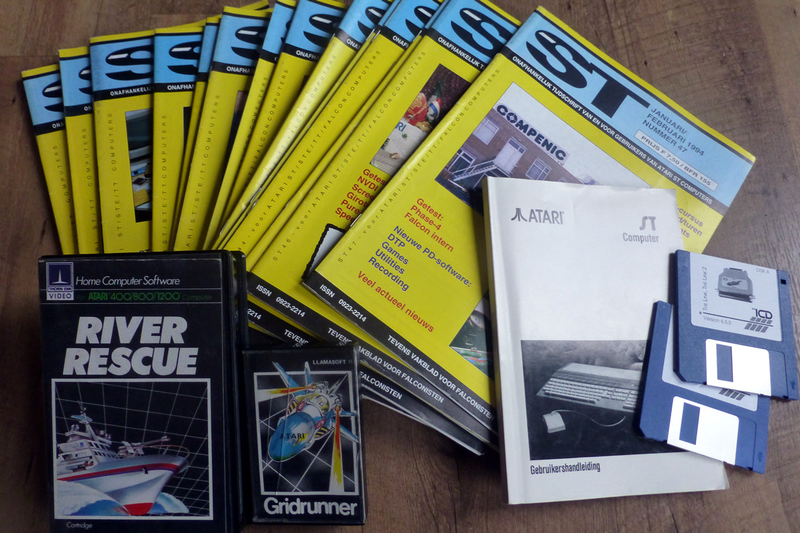 He sent me these 15 issues of the Dutch ST-magazine, a Dutch manual of the Atari ST and the disks of “The Link”. 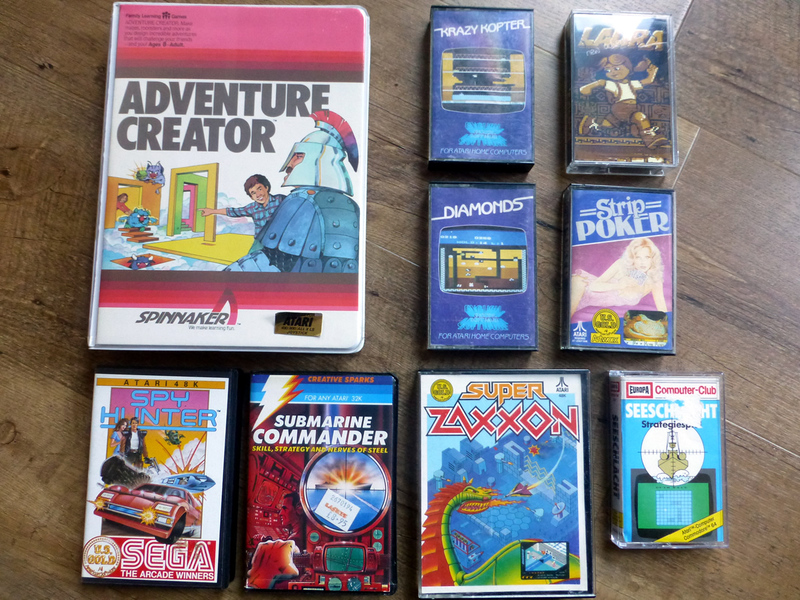 Other new items are Gridrunner on cassette and River Rescue on cartridge. 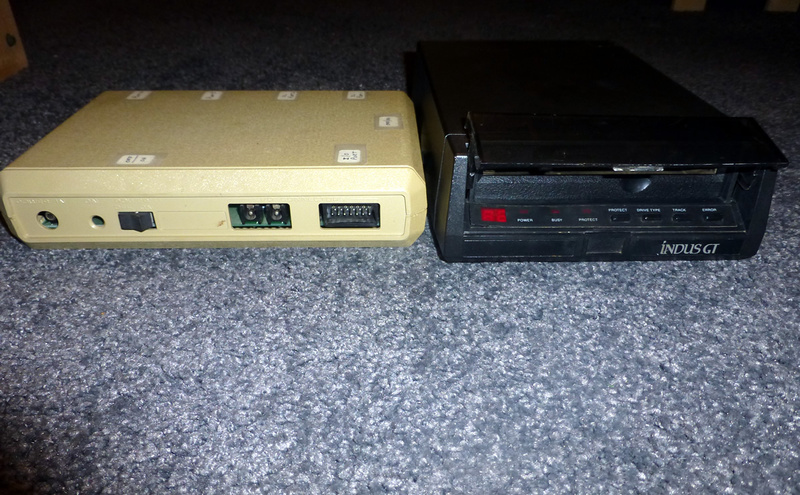 Both for Atari 8-bit computers. 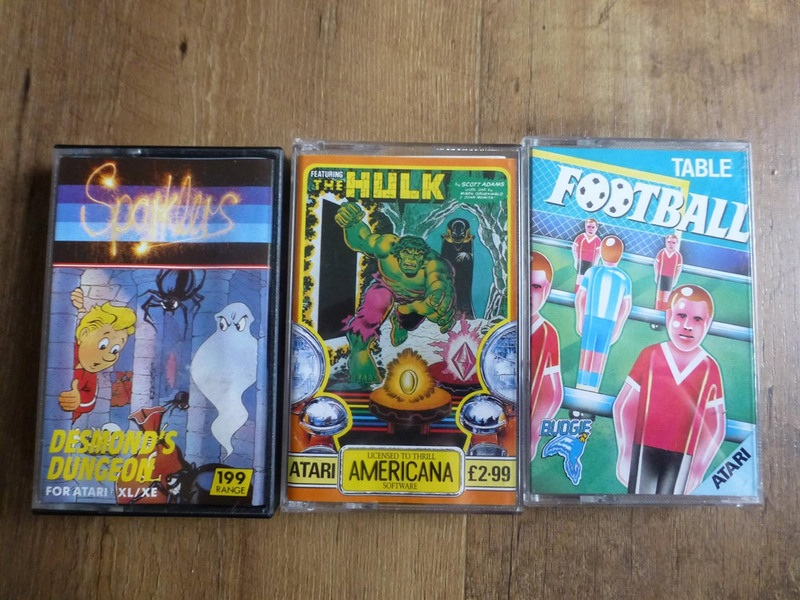 A few new cassettes for the Atari 8-bit. Fruit Machine Simulator (now the codemasters collection is complete), World Soccer, Las Vegas Casino, Laser Hawk and Escape from Doomworld. And ofcourse the latest issue of Abbuc Magazine. 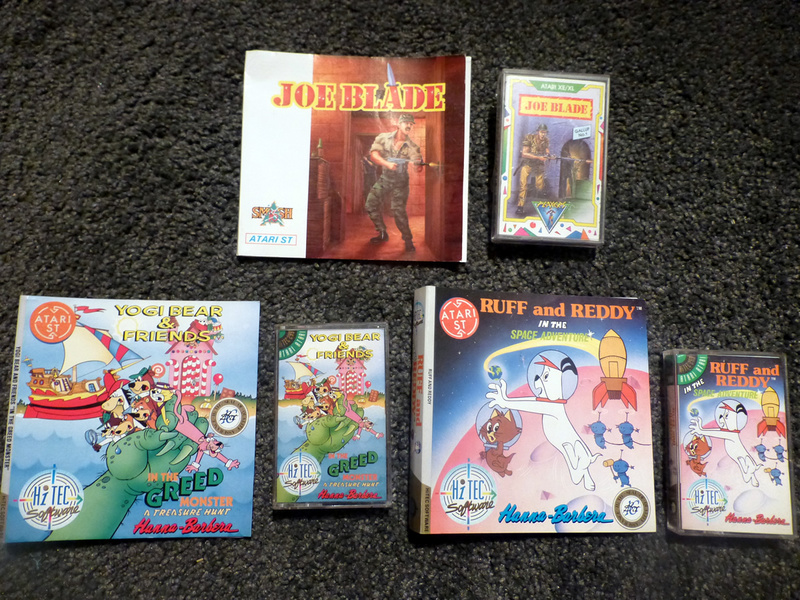 Thanks to John of AtariAge who donated these titles! 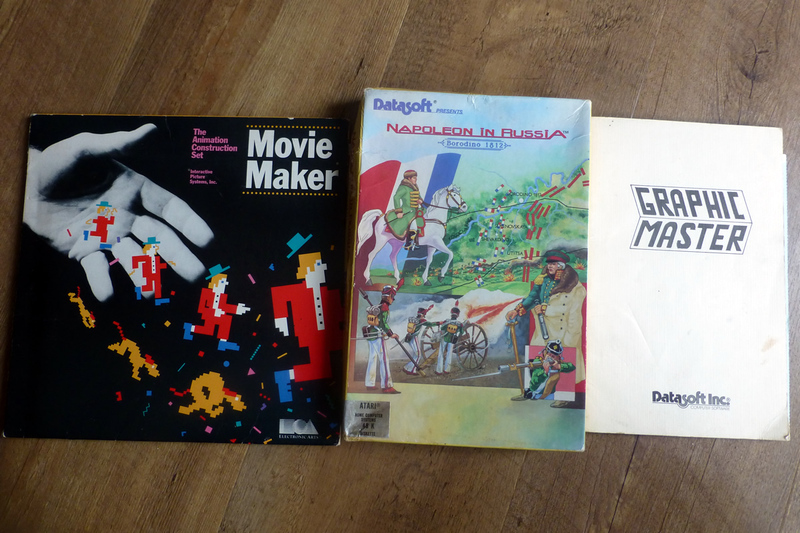 Napoleon in Russia and Movie Maker on disk and the manual of Graphic Master. 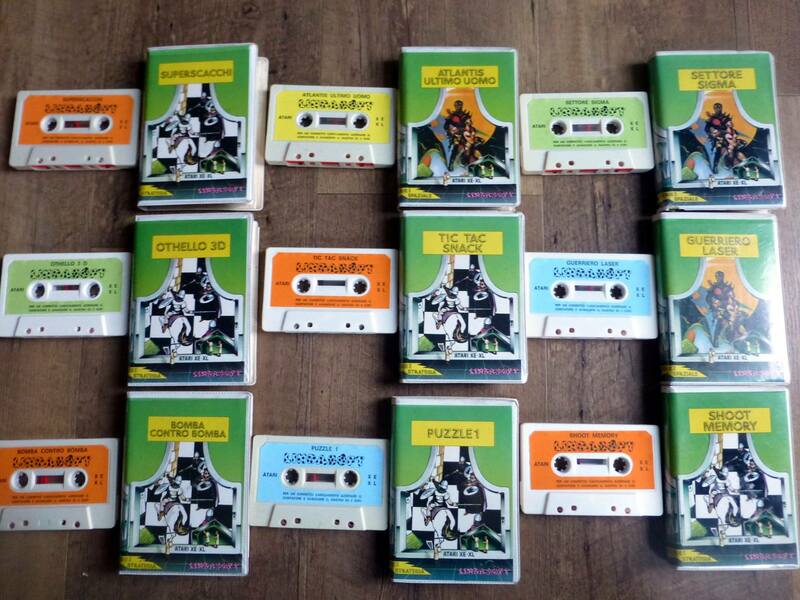 Table Football, Questprobe #1: The Hulk and Desmond’s Dungeon on cassette. F14 Combat and Video Chess for the 2600. 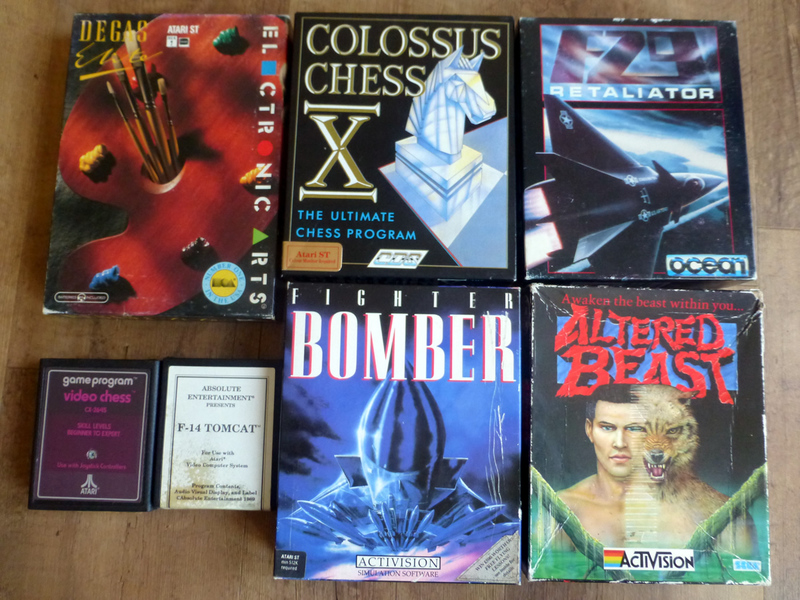 Colossus Chess, Altered Beast, F29 Retaliator, Degas Elite and Fighter Bomber for the Atari ST.
Two Educational games on cassette from Milliken Publishing Co and the Telelink cartridge from Atari. 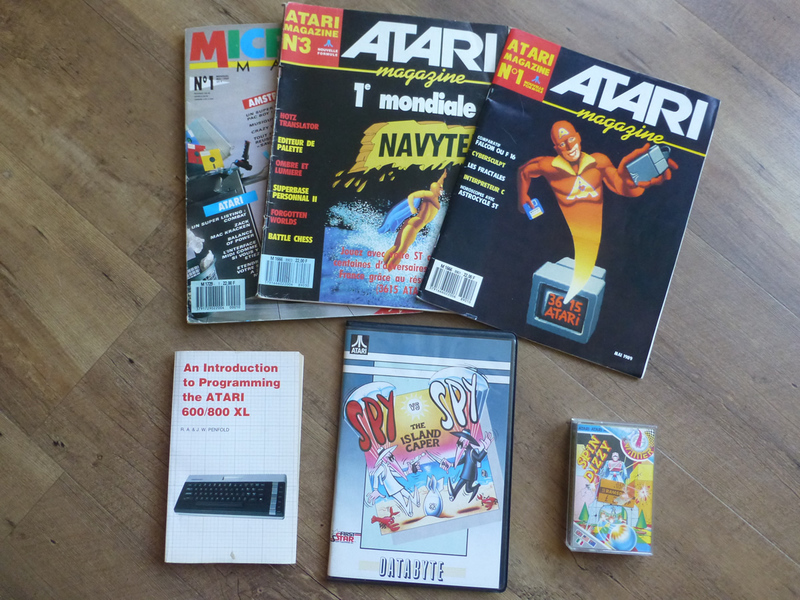 Thanks to Andy of the Atari Sector Forums I can finally add the first 5 issues of Atari User (UK). Thanks Andy! 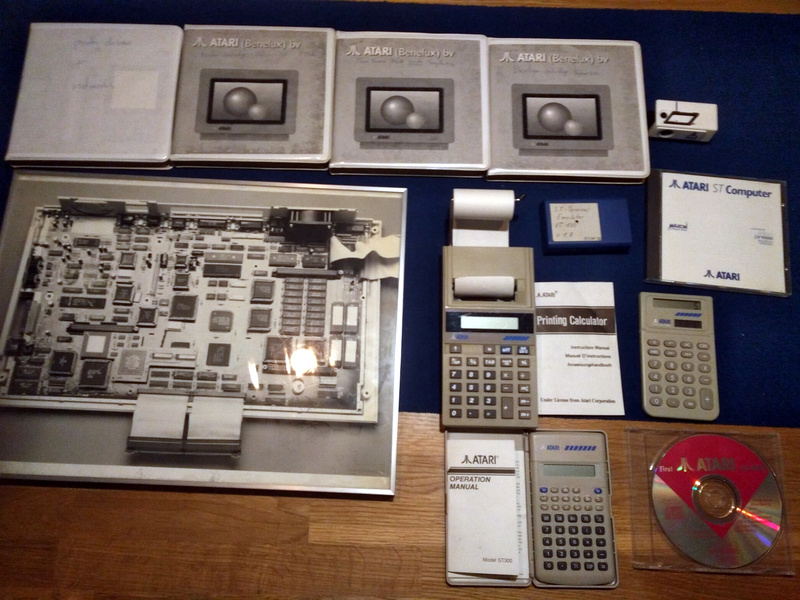 Also new: Das Schulbuch zu Atari 600XL/800XL. 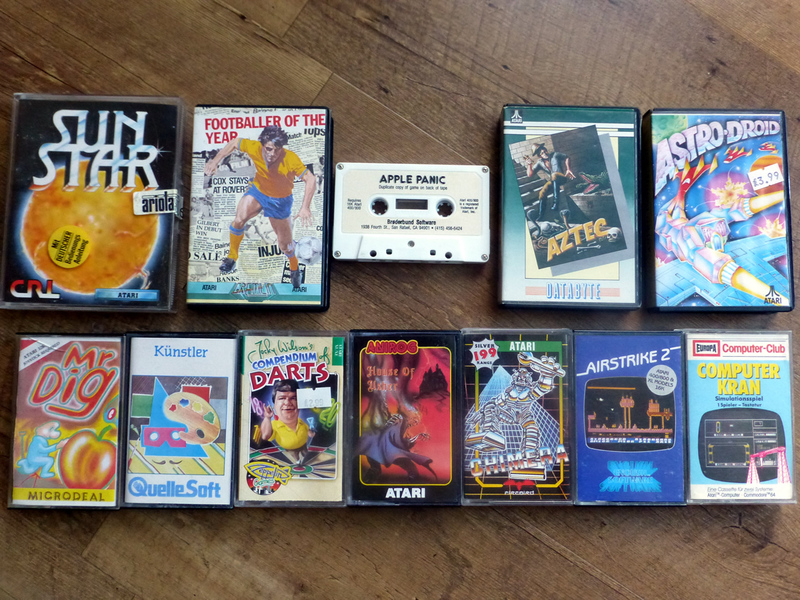 Some great new additions to the collection thanks to the guys of the Atari Sector forum! 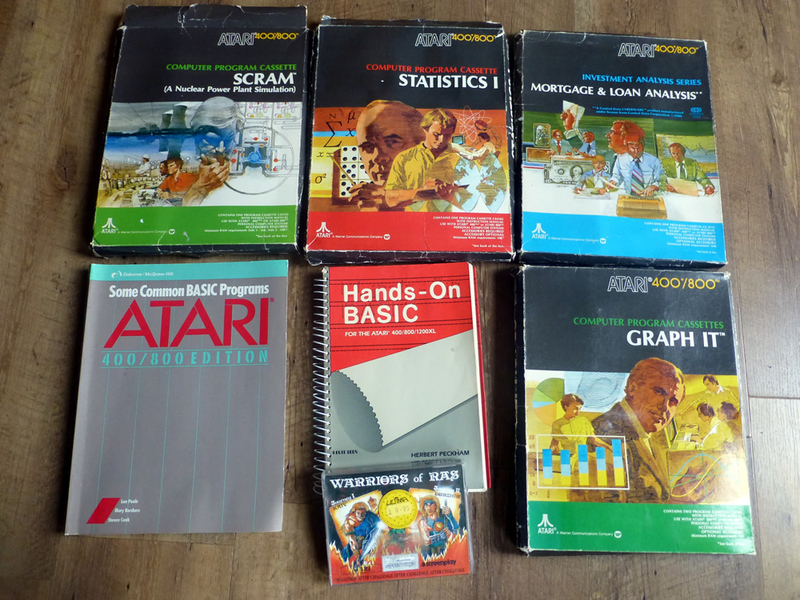 Scram, Statistics 1, Mortgage & Loan Analysis, Graph It and Warriors of Ras on cassette for Atari 8-bit. 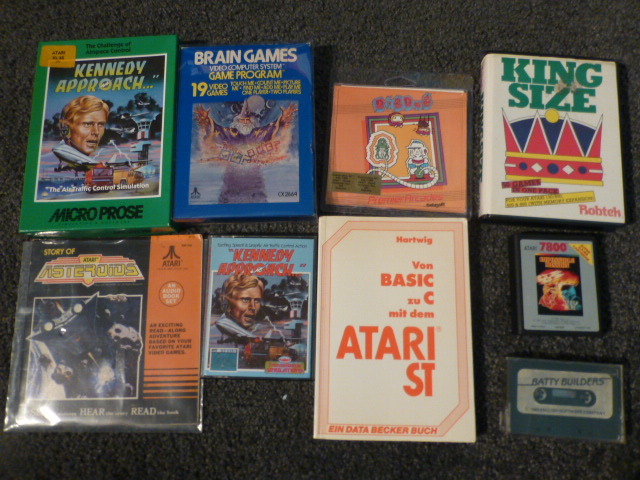 Plus 2 American books: Some common Basic programs and Hands on Basic for Atari 8-it. 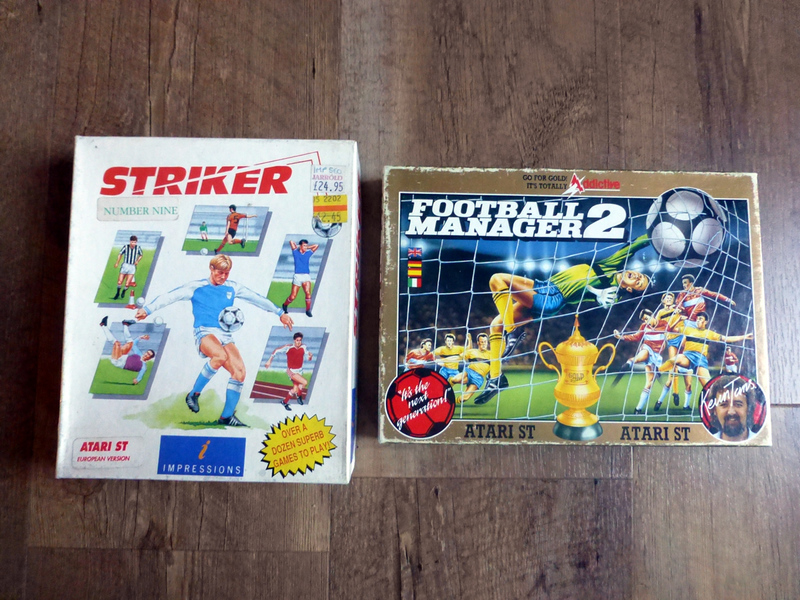 Two games for the Atari ST: Football Manager 2 and Striker. 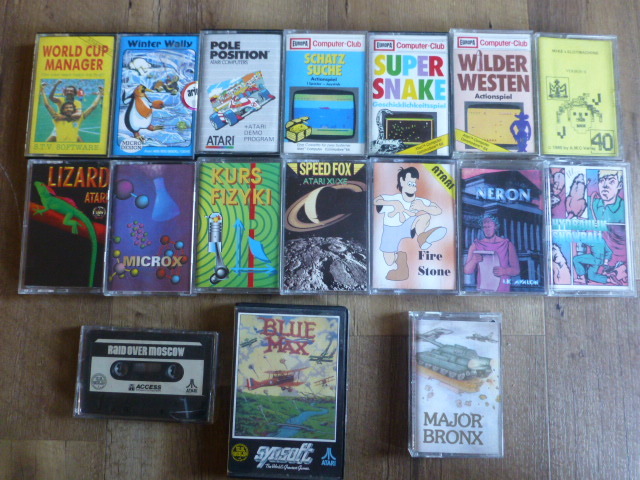 Latest additions to the collection: Computer War and Tank Commander by Creative Sparks on cassette, Mountain Shoot and Star Flite by Prism Leisure on cassette, Blue Max 2001 by Synsoft on cassette, Whirlynurd by US Gold on cassette and House of Usher by Midas on cassette. 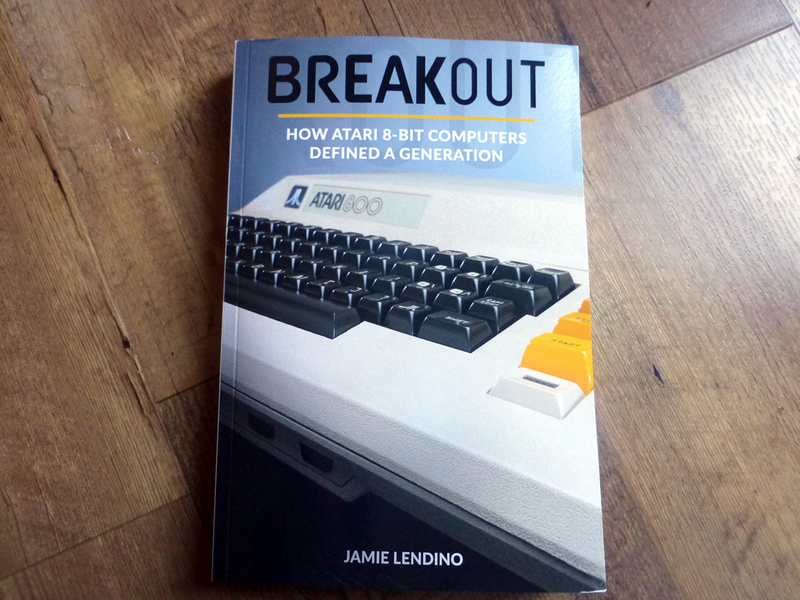 All for Atari 8-bit. Plus the latest Abbuc Magazine (nr. 128) arrived! 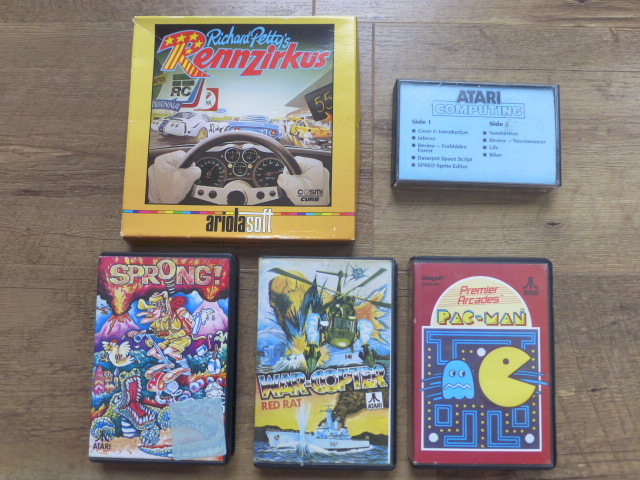 This time 2 special additions to the collection: Indus GT drive (broken, I will try to fix it) for the Atari 8-bit and the SuperSALT interface for Atari 8-bit. 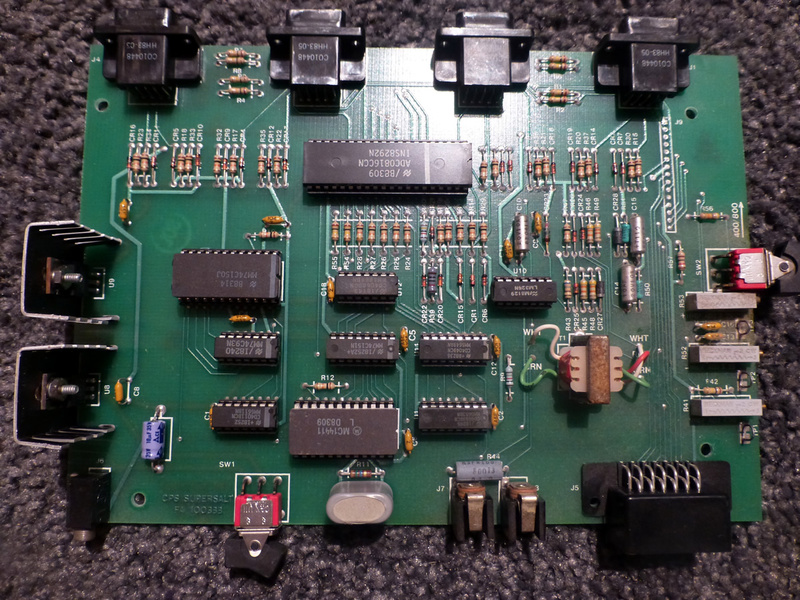 With this interface and the SALT cartridge you can test and diagnose Atari 8-bit computers. 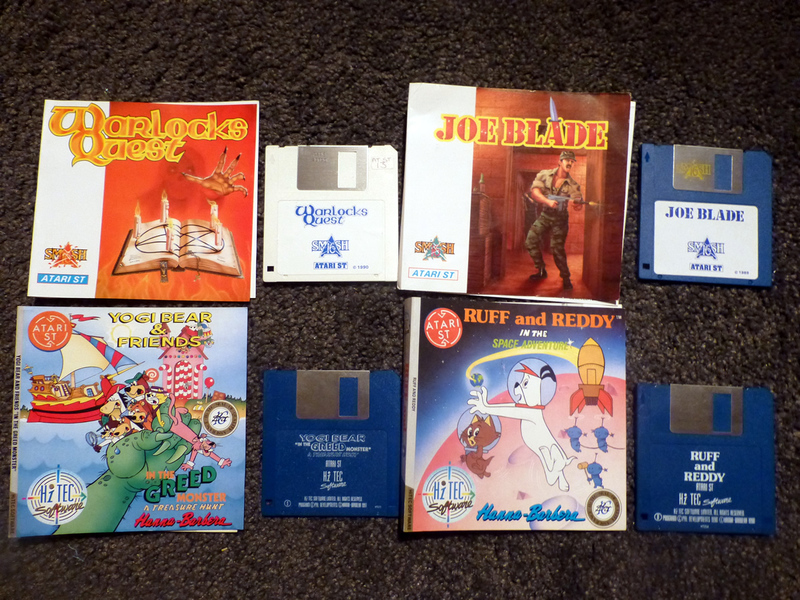 Warlocks quest, Joe Blade, Yogi Bear and friends in the Greed Monster, Ruff and Reddy and the Space adventure for the Atari ST. 3 of those titles were also available for Atari 8-bit (second picture). 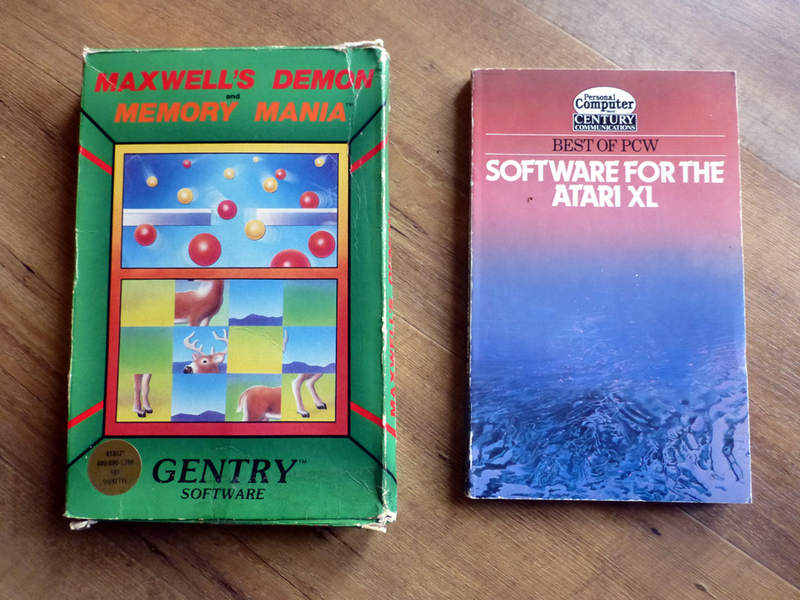 Maxwell’s Demons / Memory Mania on disk for Atari 8-bit and Software for the Atari XL from Century Communications. 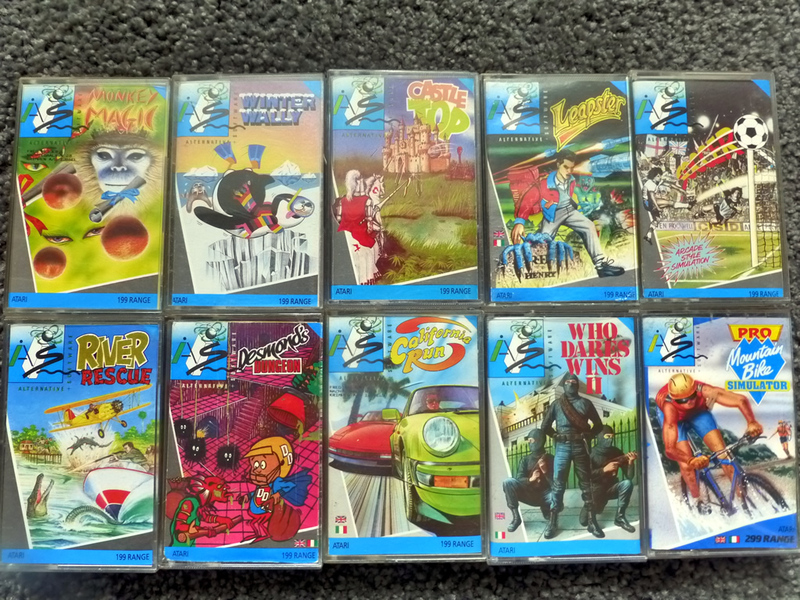 9 Italian Lindasoft titles on cassette for the Atari 8-bit! Bomba contra bomba, Tic Tac Snack, Guerriero Laser, Othello 3D, Puzzle1, Settore Sigma, Shoot Memory, Superscacchi & Atlantis Ultimo Uomo. 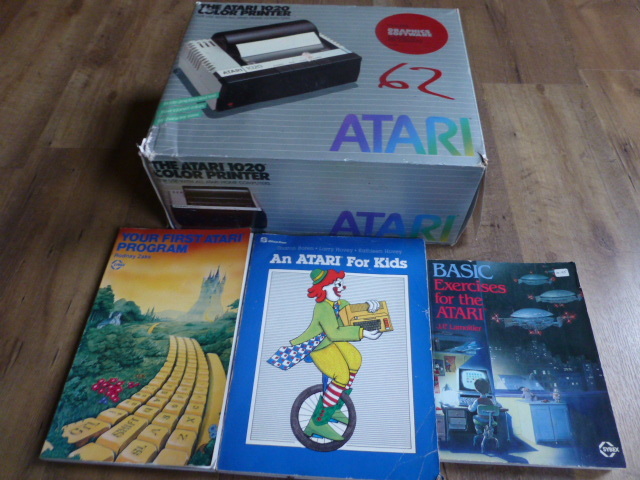 The last 3 titles aren’t even mentioned on Atarimania! The covers are available in the cover database.